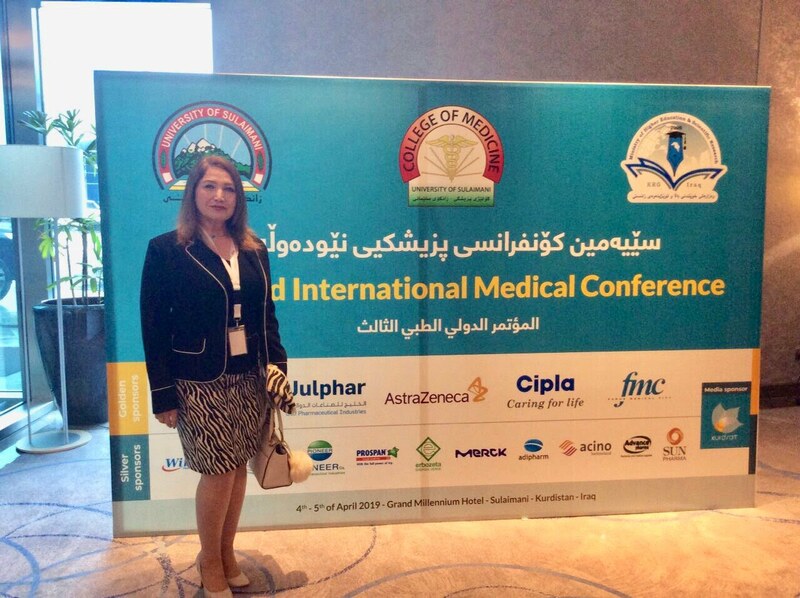 Participation in third int medical conference 4-5 april at Grand Mellinium hotel as presenter and as chair person for a scientific session in which eight research presented by international and local researcher. 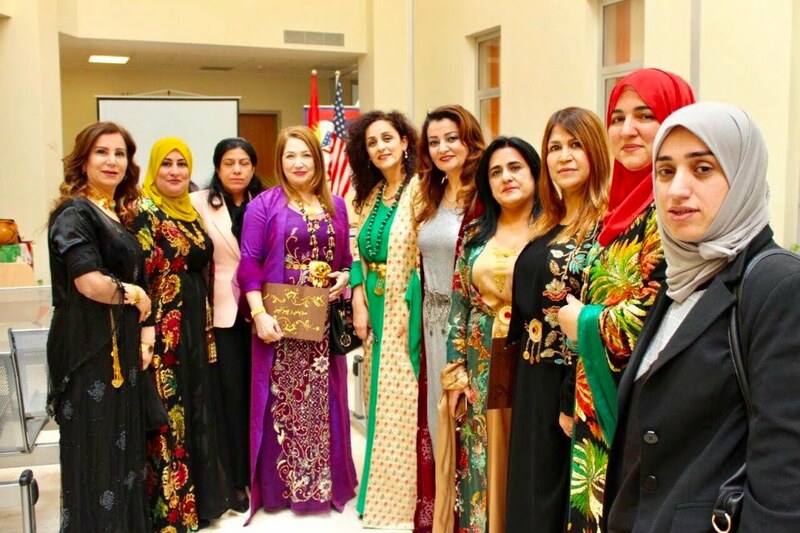 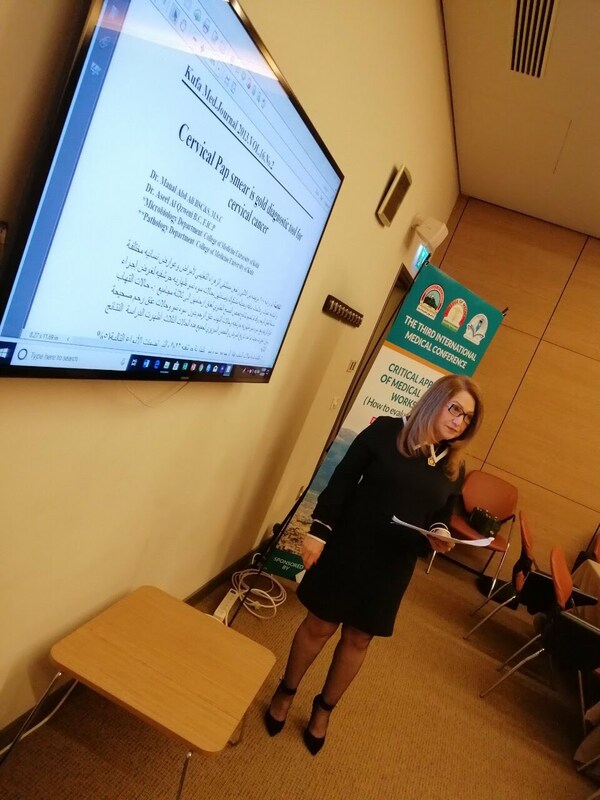 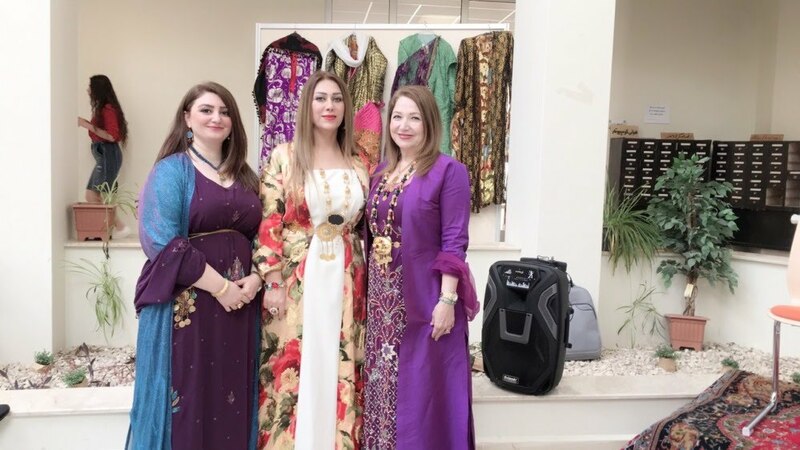 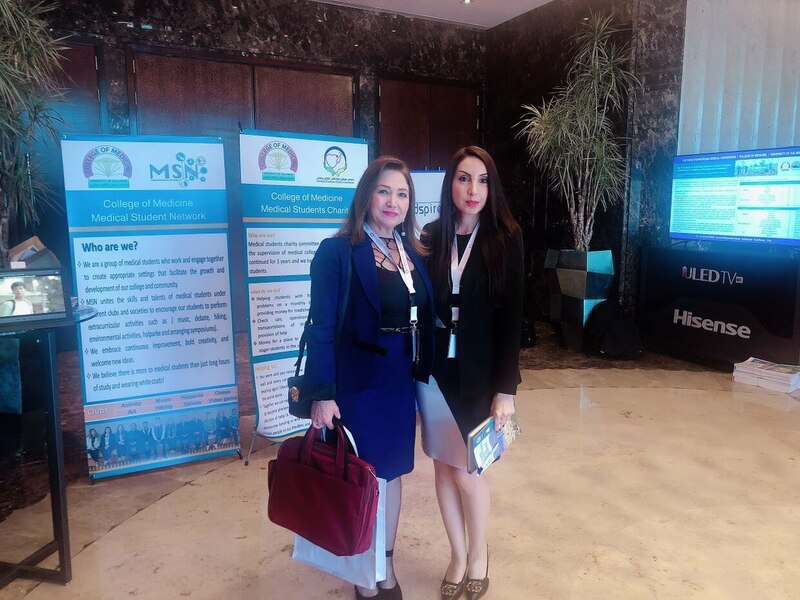 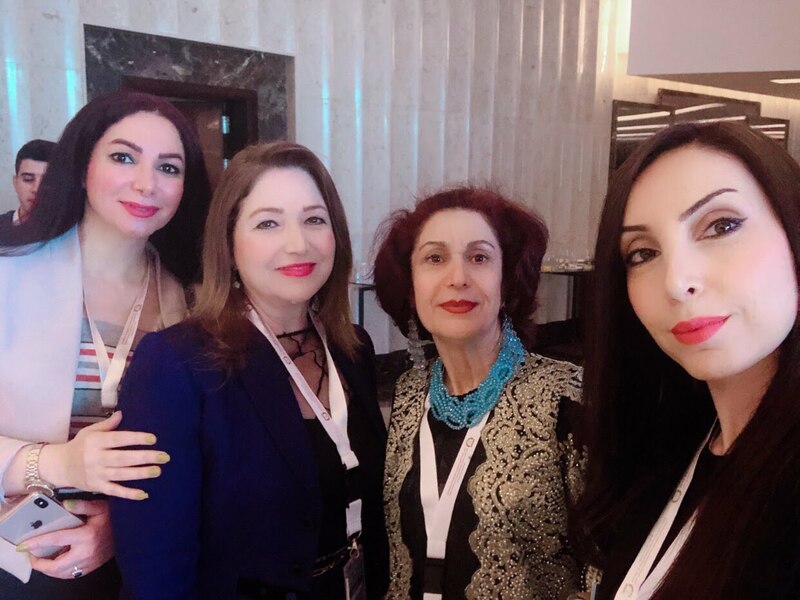 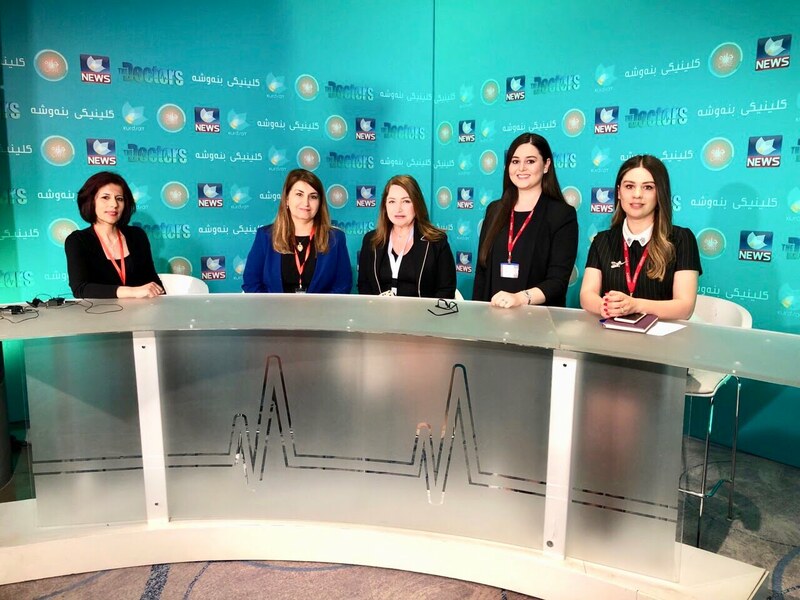 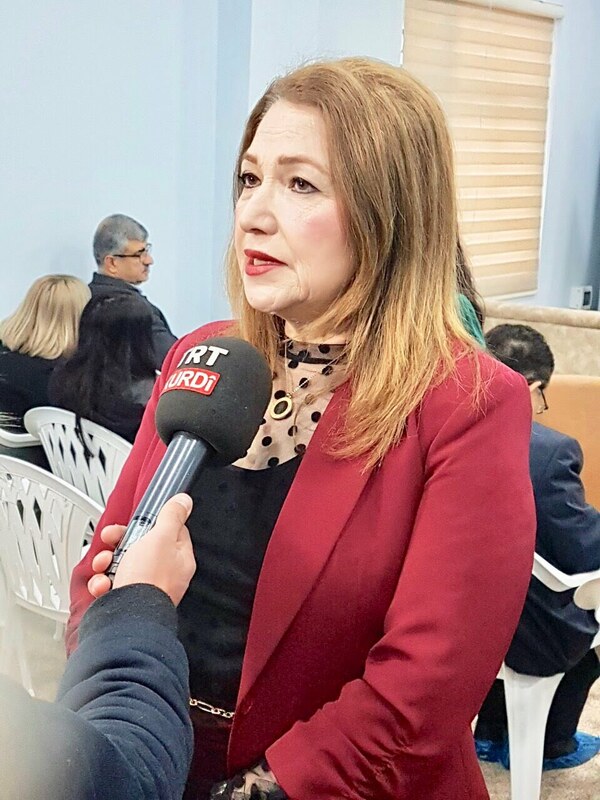 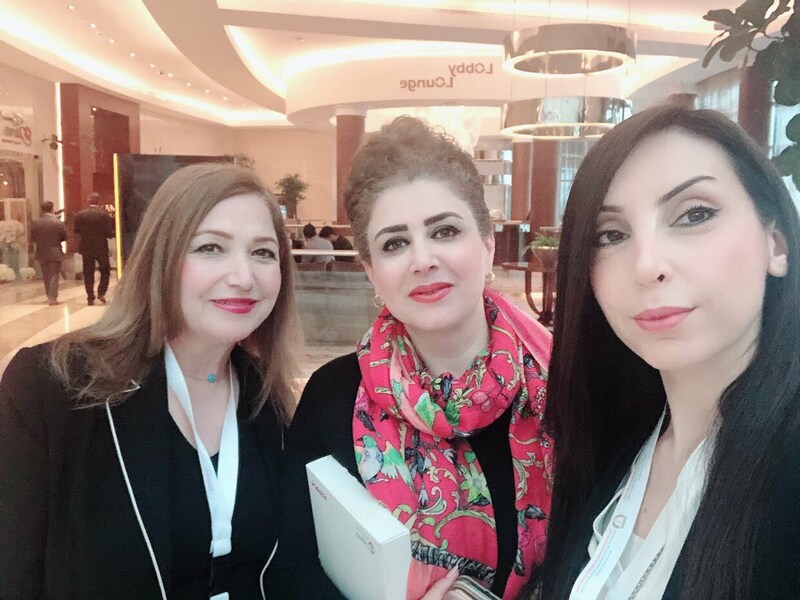 Assist Professor Dr. Zhyan Salah Ramzi , dean of College of Nursing participated in the conference by presenting a study, following this, she chaired the sessions for presenting eight studies. 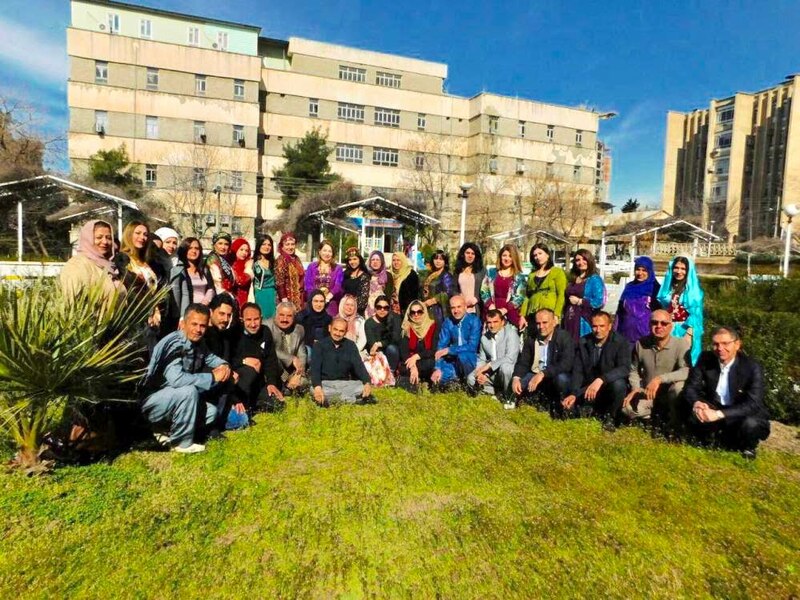 Participation in Pre -conference workshops at Faruq Medical City. 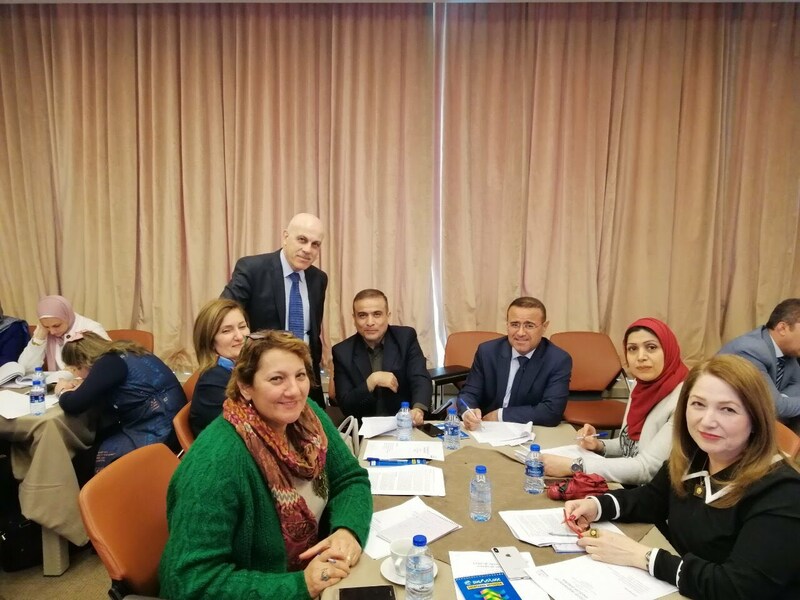 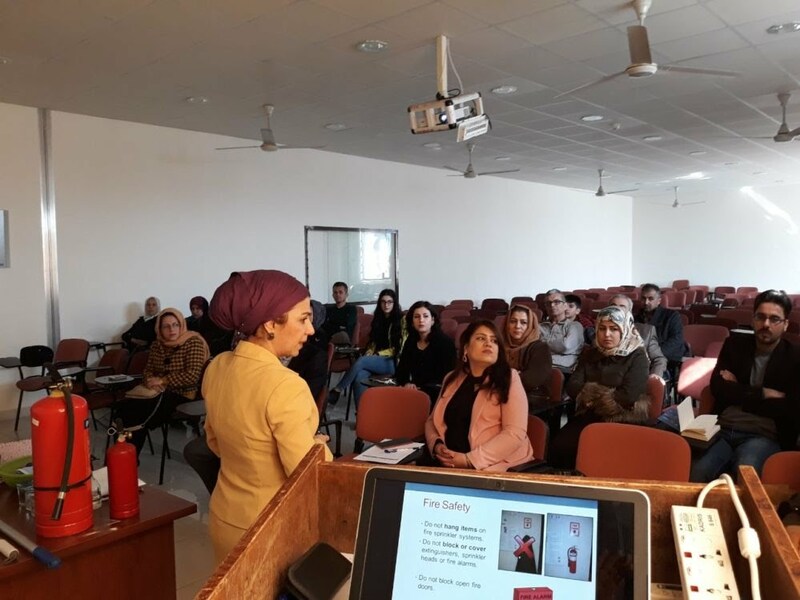 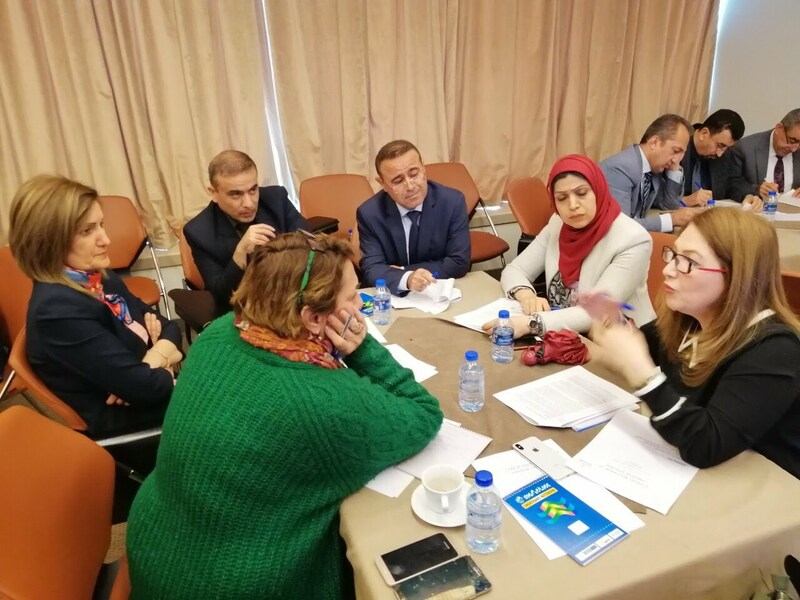 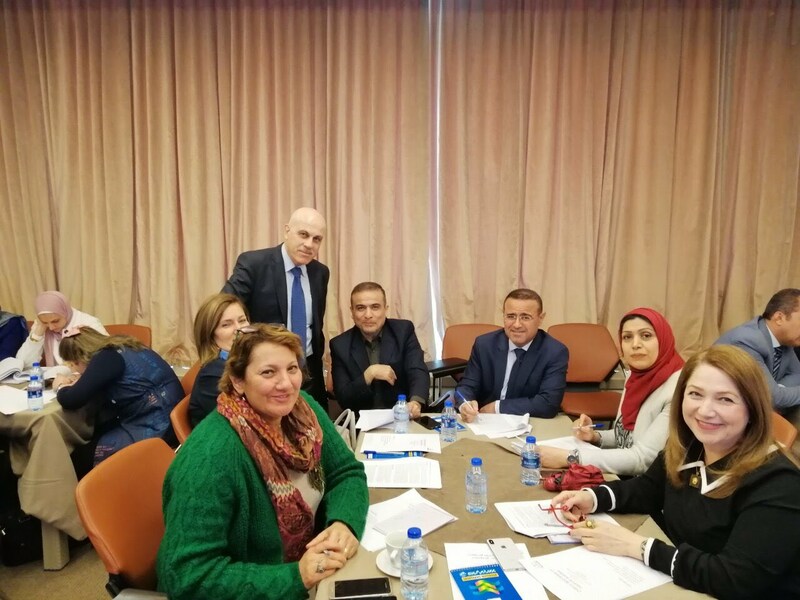 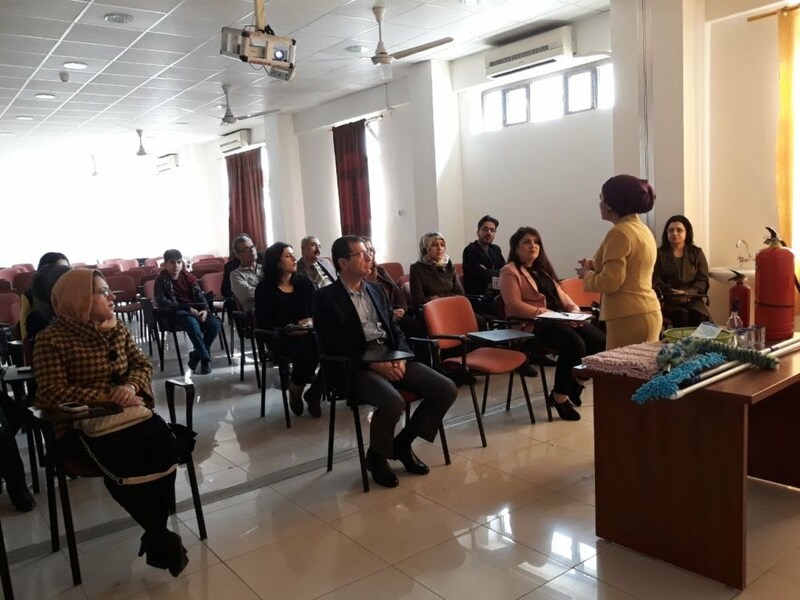 The dean of College of Nursing Assist Professor Dr. Zhyan Salah Ramzi conference Workshops about critical paper appraisal at FMC on 3rd April 2019. 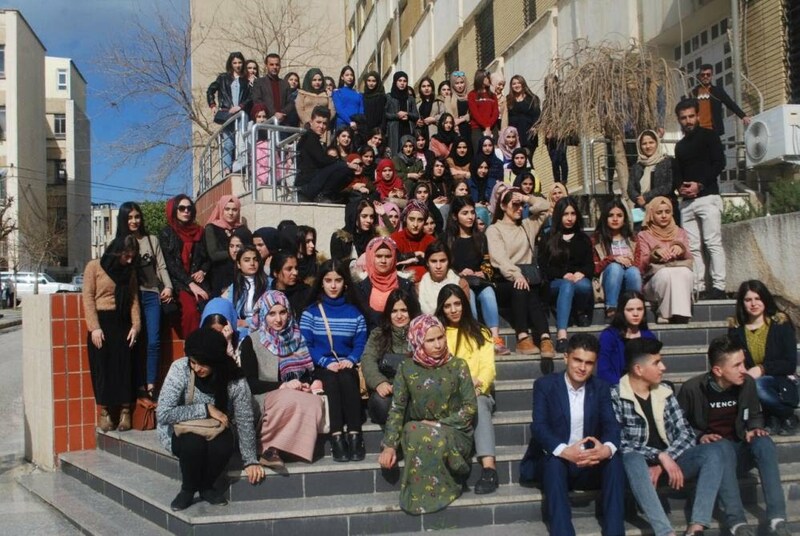 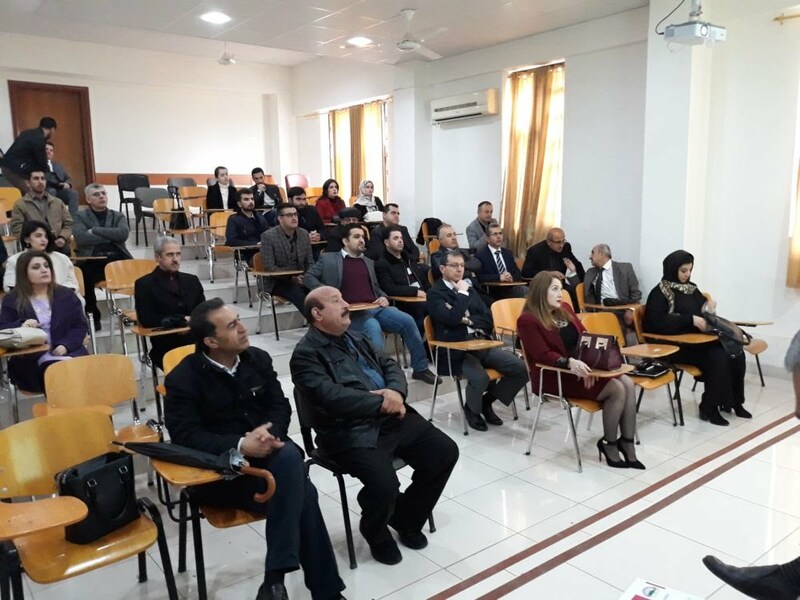 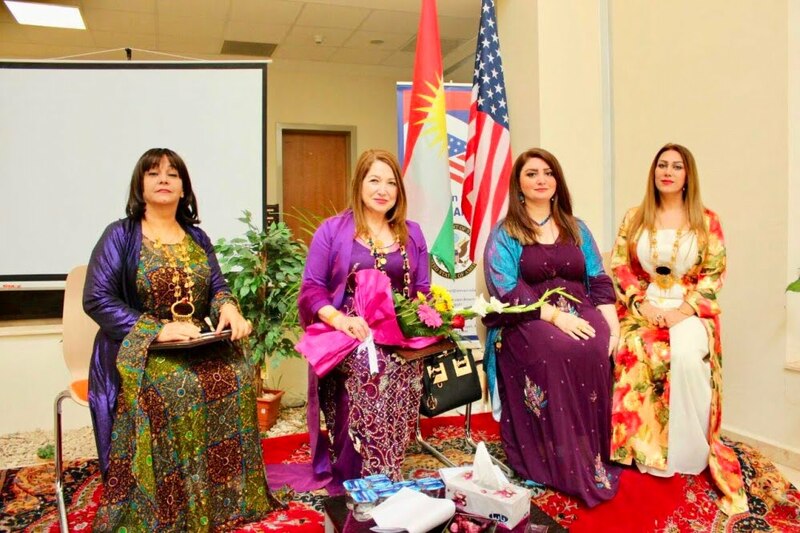 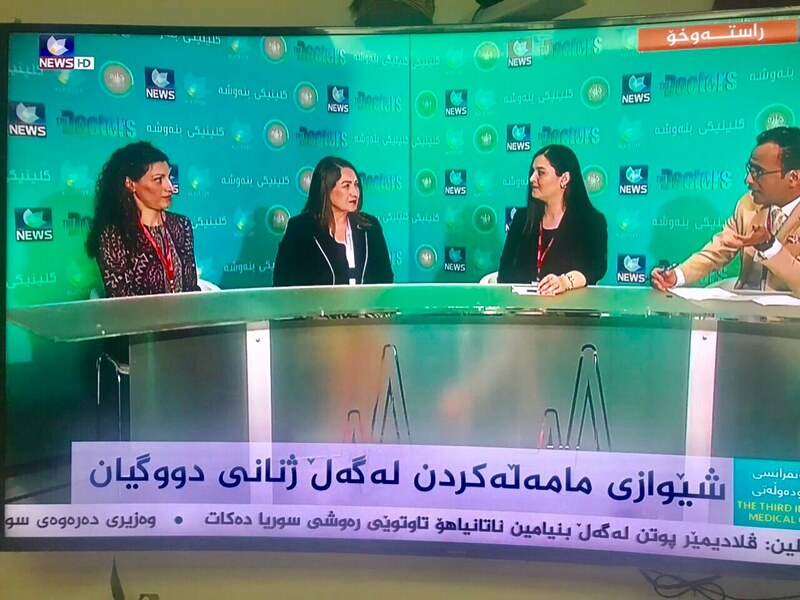 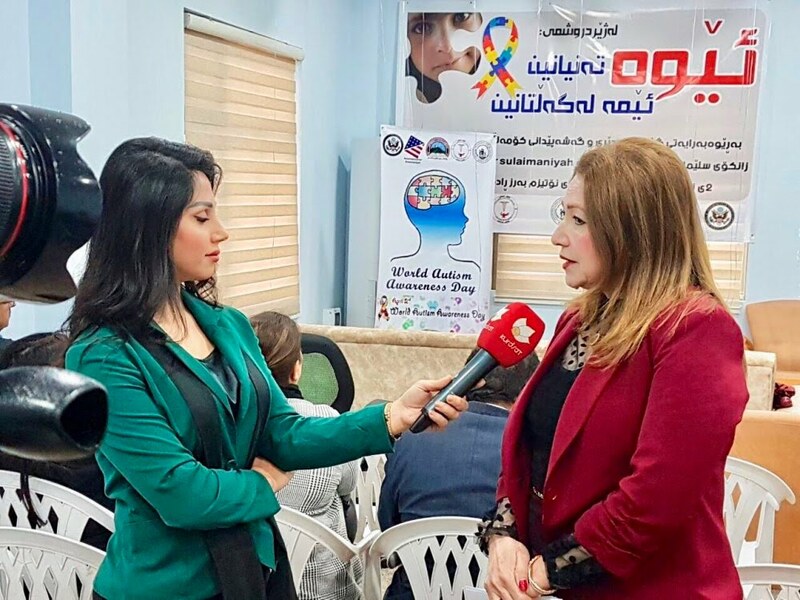 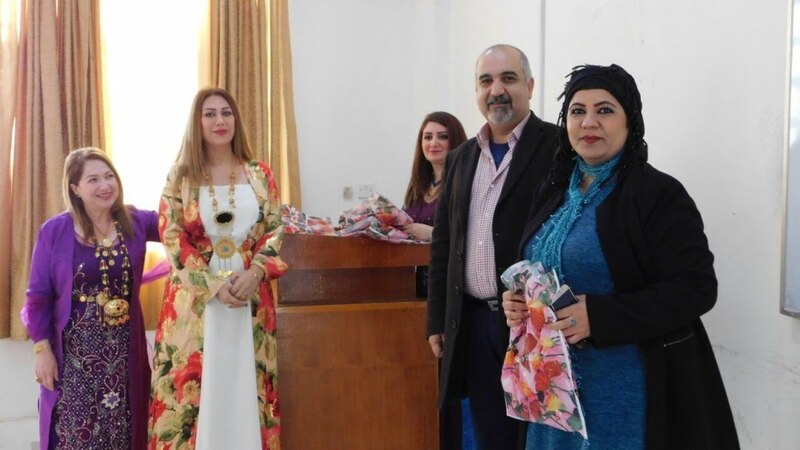 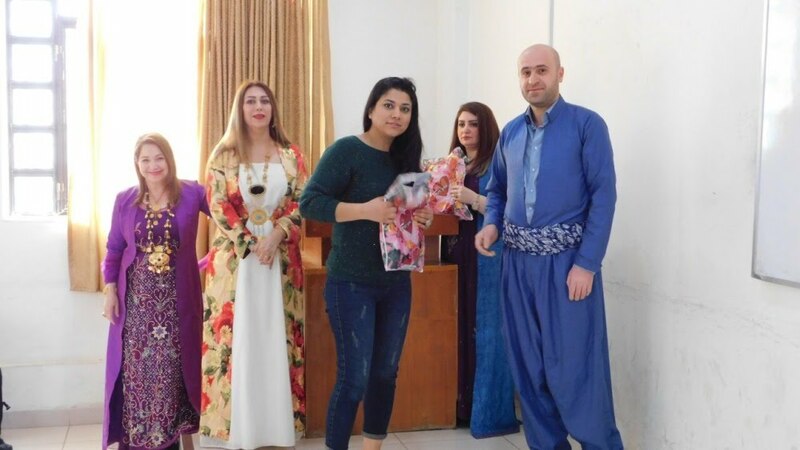 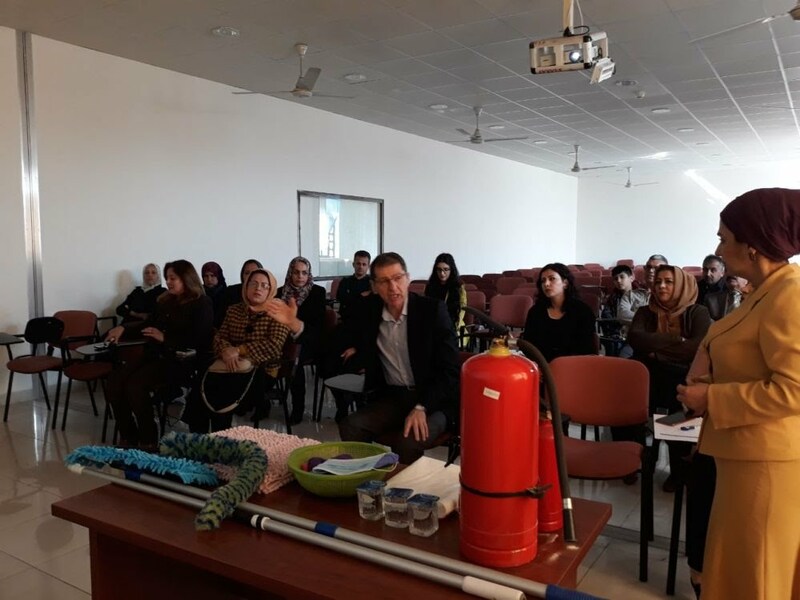 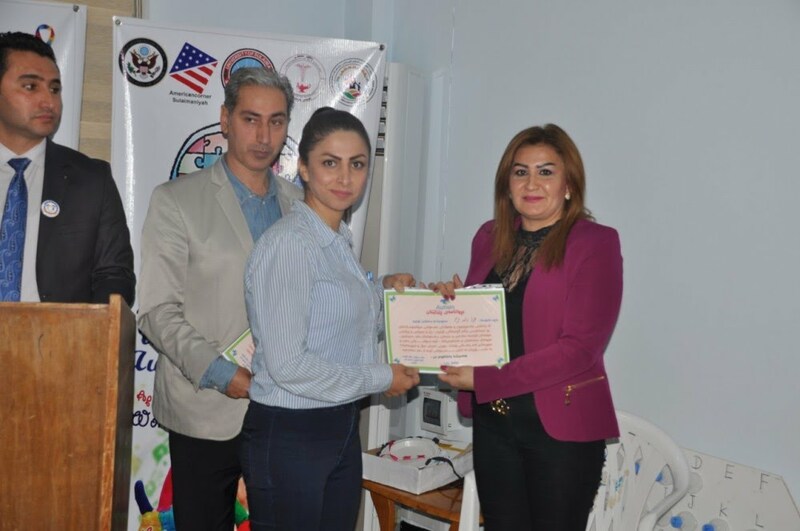 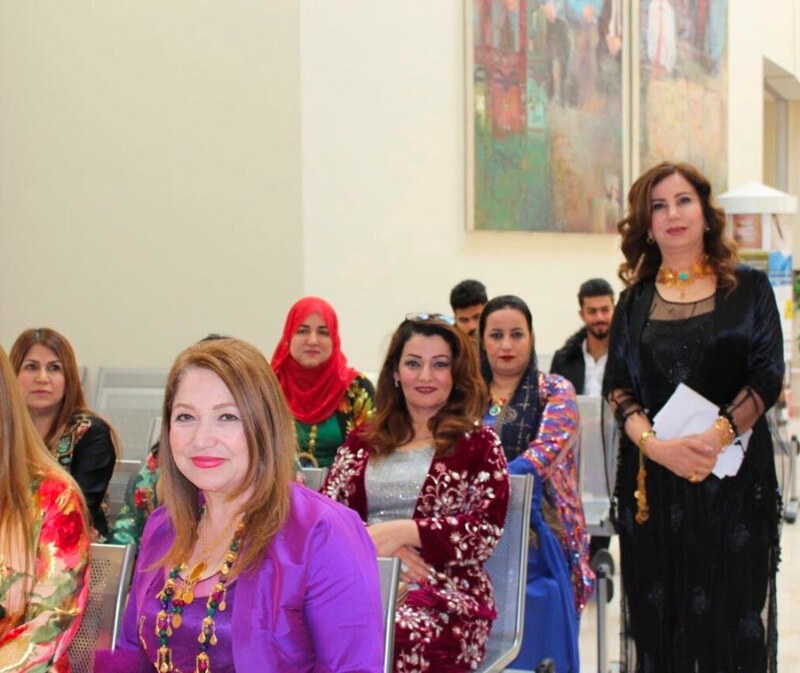 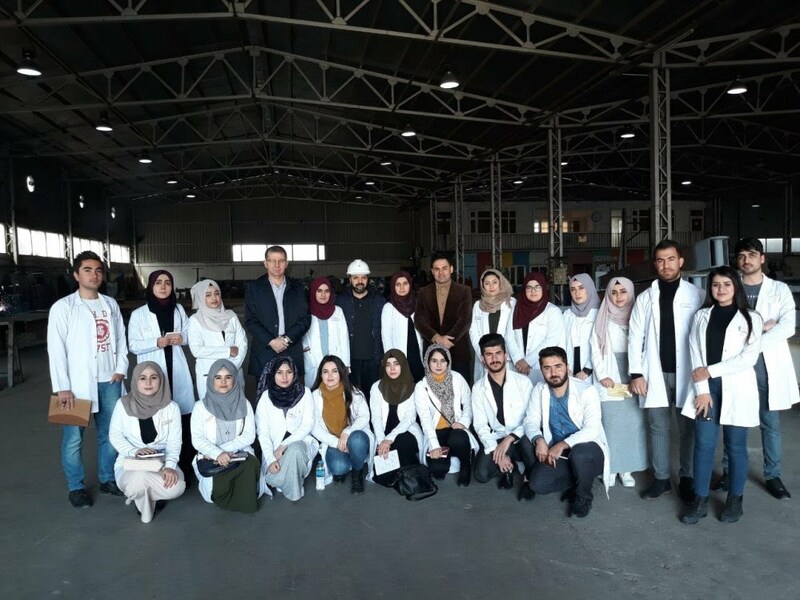 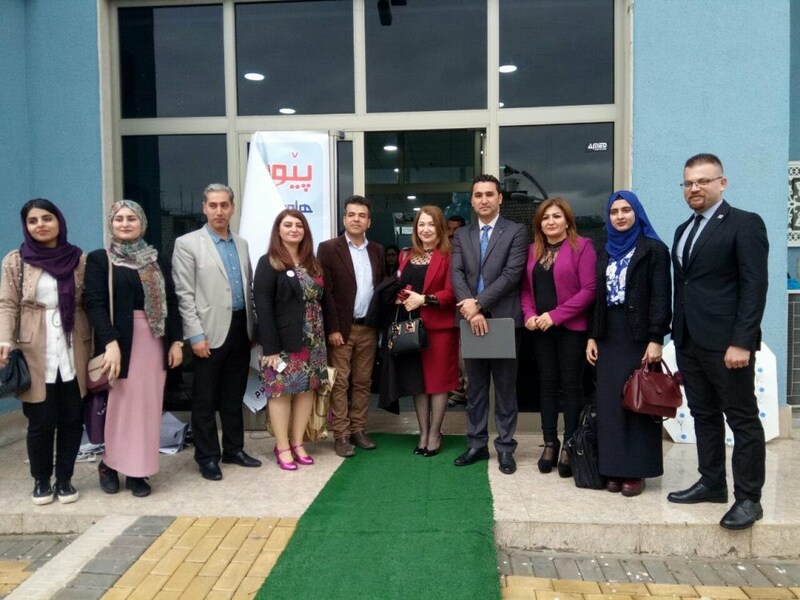 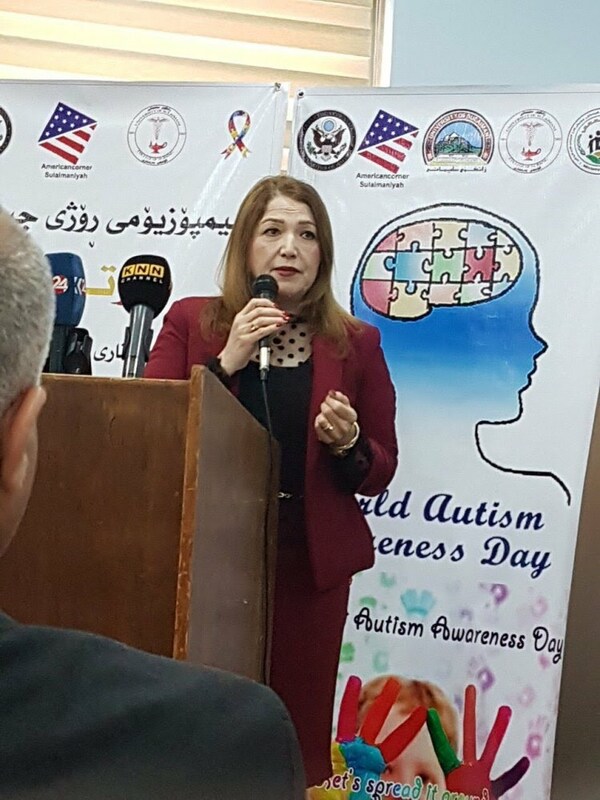 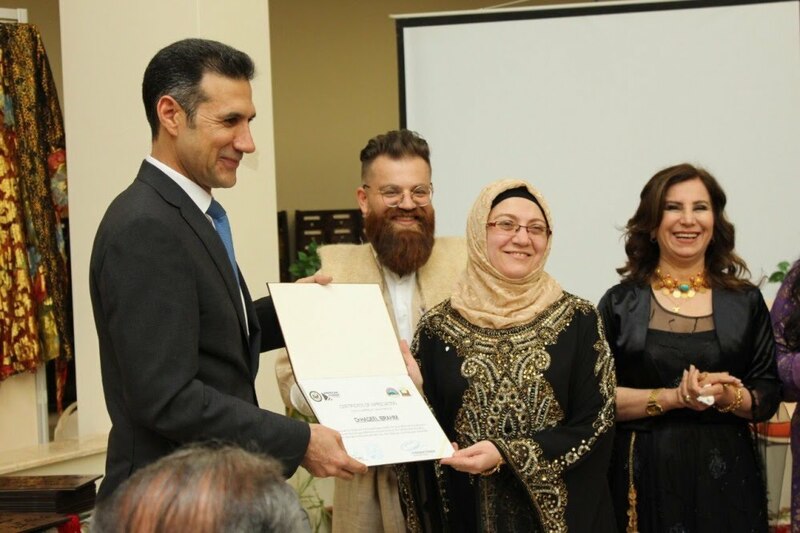 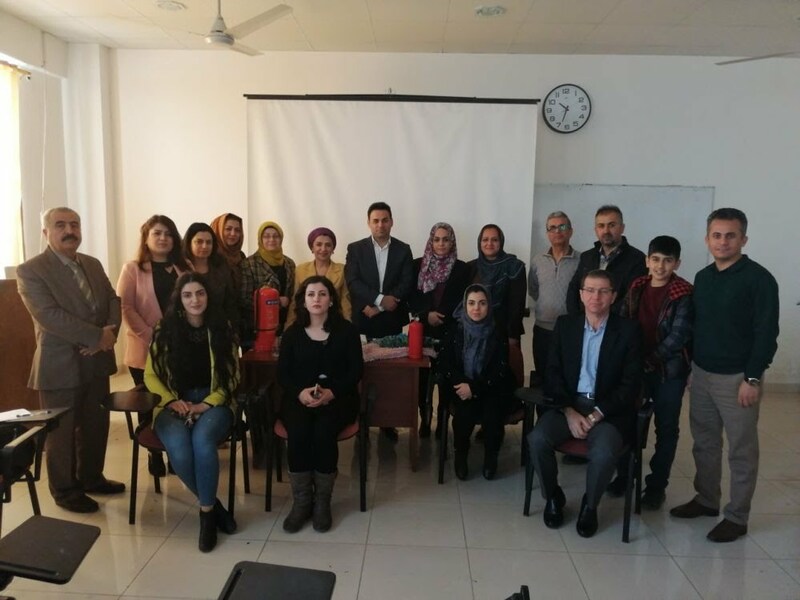 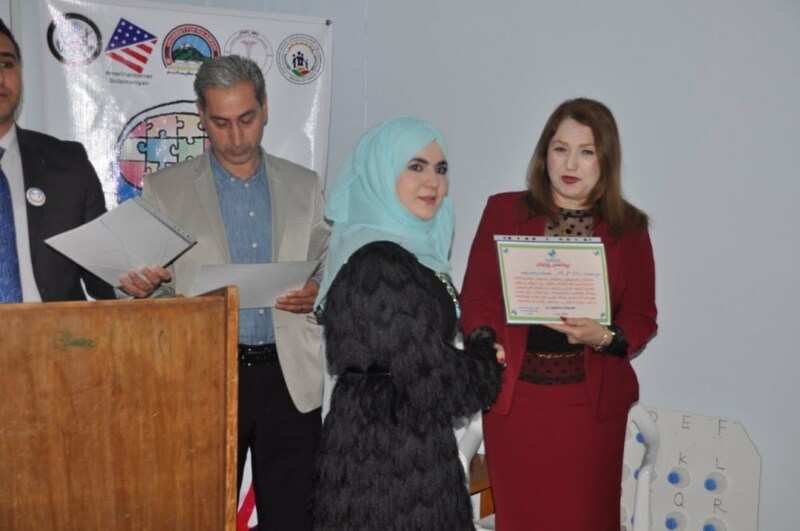 In the Day of Autism awareness, College of Nursing arranged a symposium with American Corner at University of Sulaimani and Sulaimani Autism Center. 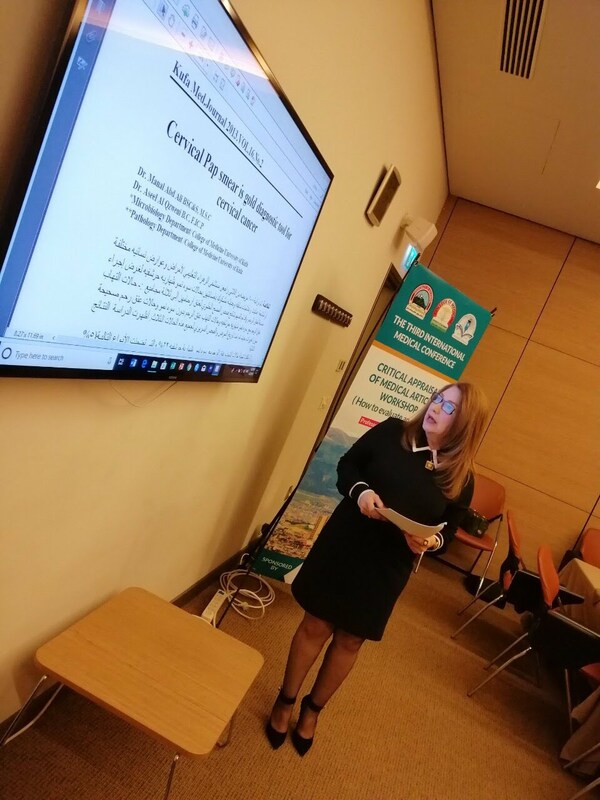 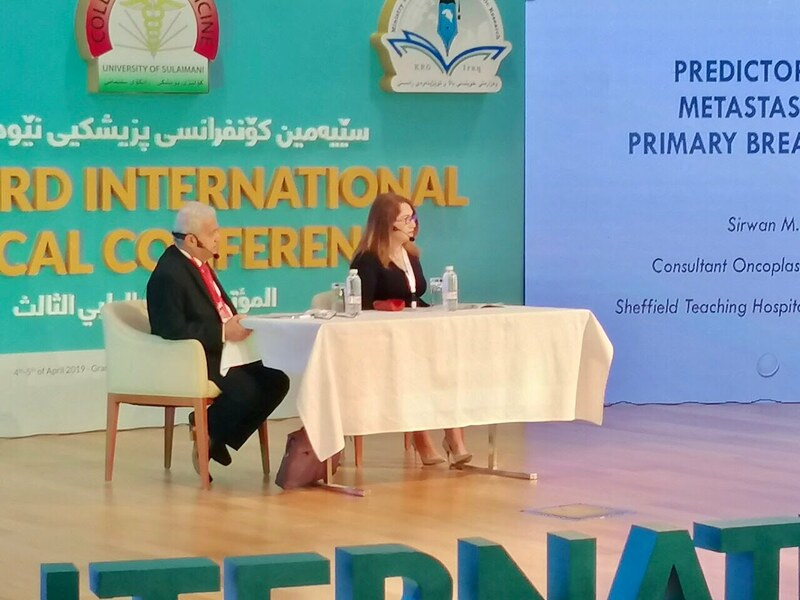 The symposium is started by the officials' speech, in which Assist Professor Dr. Zhyan Salah Ramzivided her speech in the opening of the symposium, then Panels were presented. 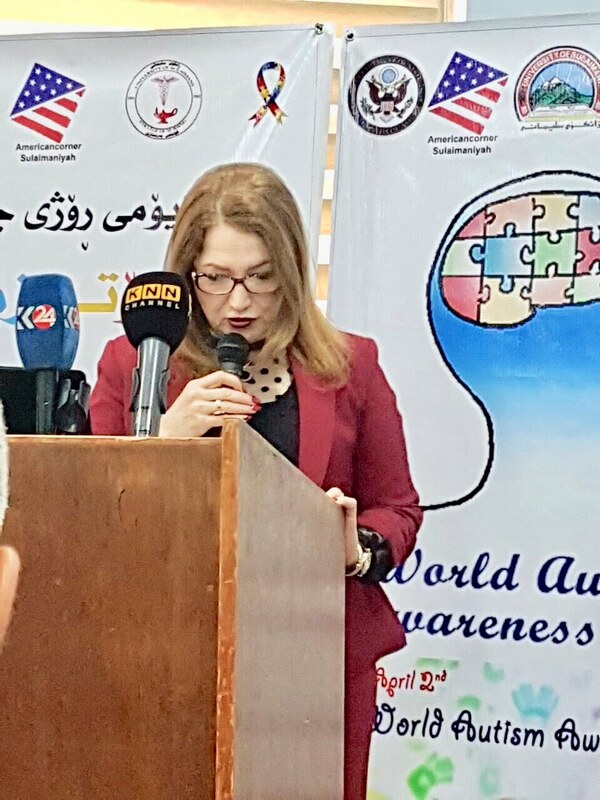 Annually, the 2nd of April is recognized as the World Autism Awareness Day all over the world, when the day first recognized by the World Health Organisation(WHO) as the worlds autism day for awareness of the disease resulting in growing the size the problem. 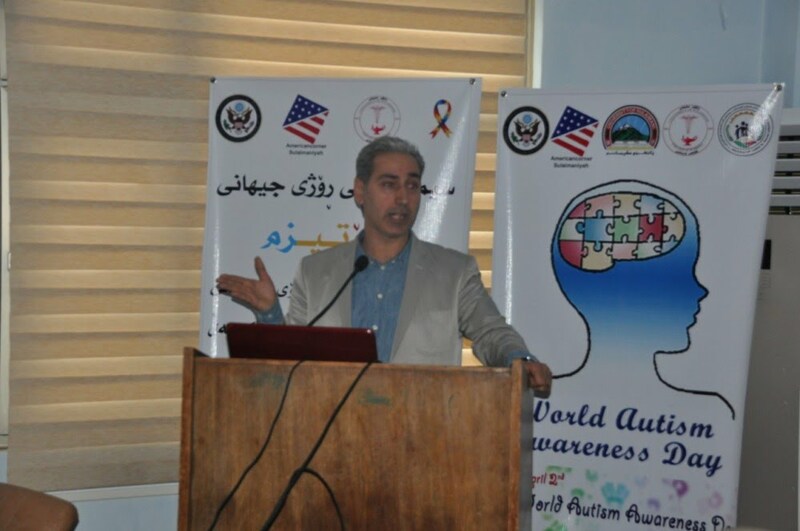 Generally, four panels were presented by Assist Lecturer Awaee Ghazi Lecturer at College of Nursing, Dr. Fahmi Ali Aziz, Psychiatrist, Dr. Chenar Omar Ali- Pediatrician and Mr. Rahman Ali Qadir- Social worker in autistic children. 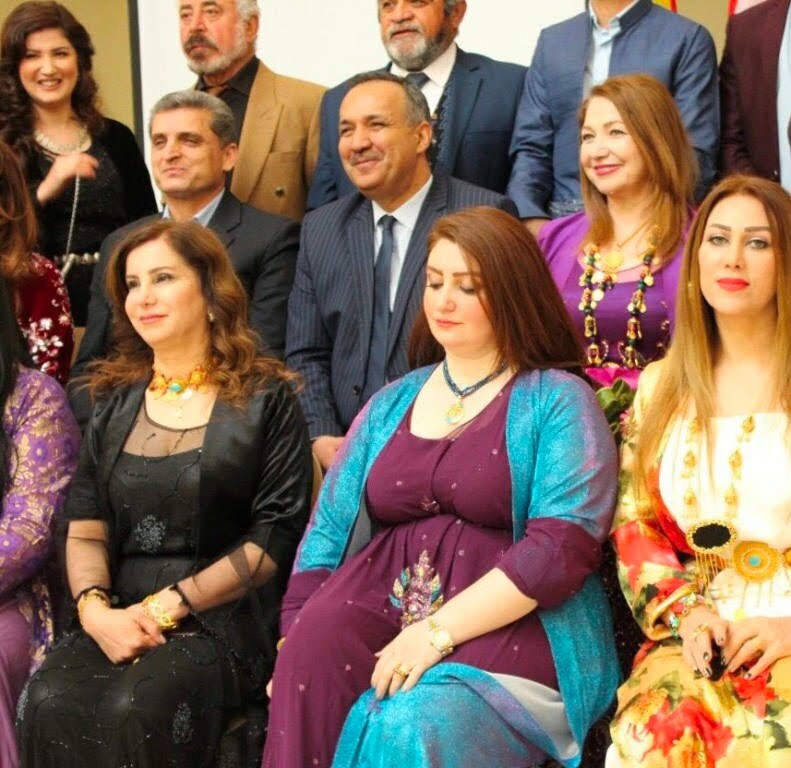 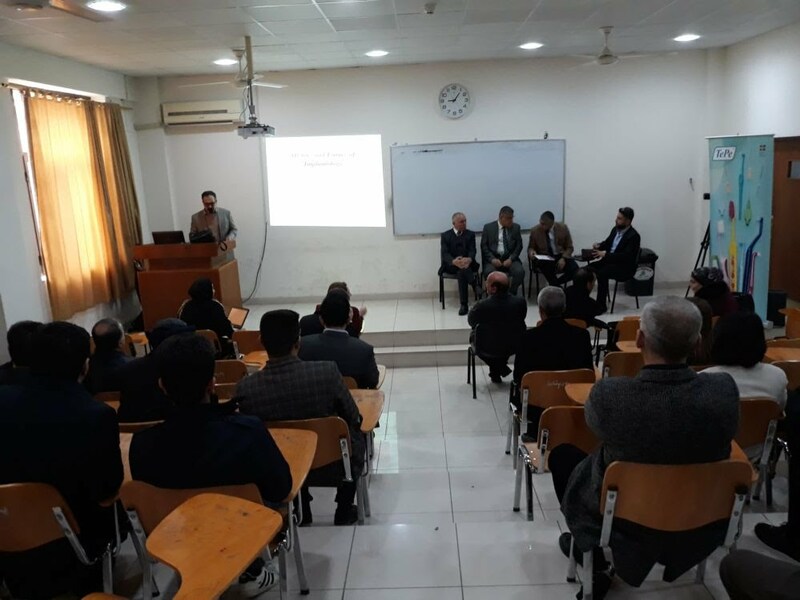 A massive discussion was held following specialists speech, this is for recognizing and raising awareness in such academic organizations and through this to publish education and information to the general population. 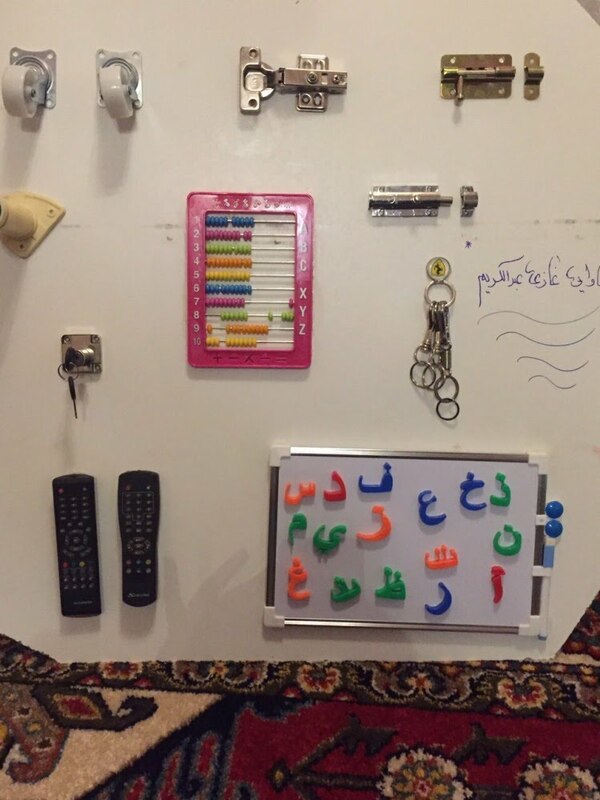 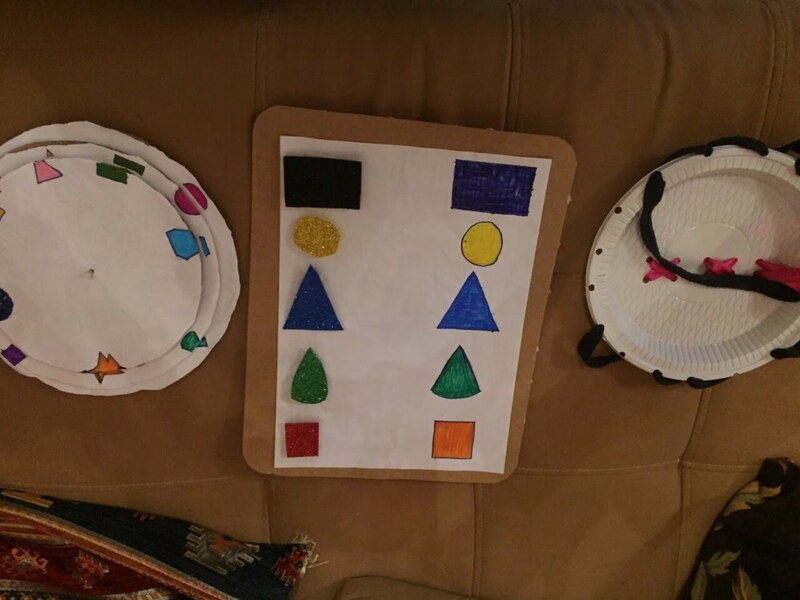 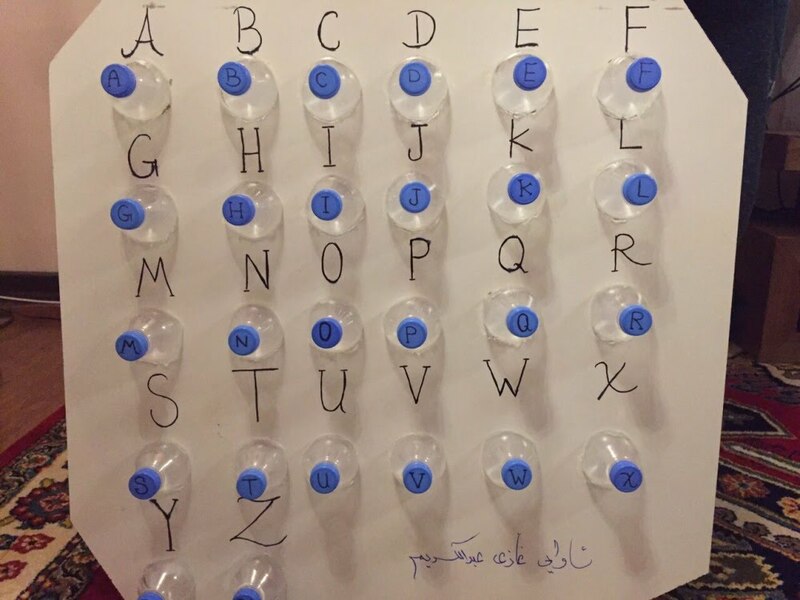 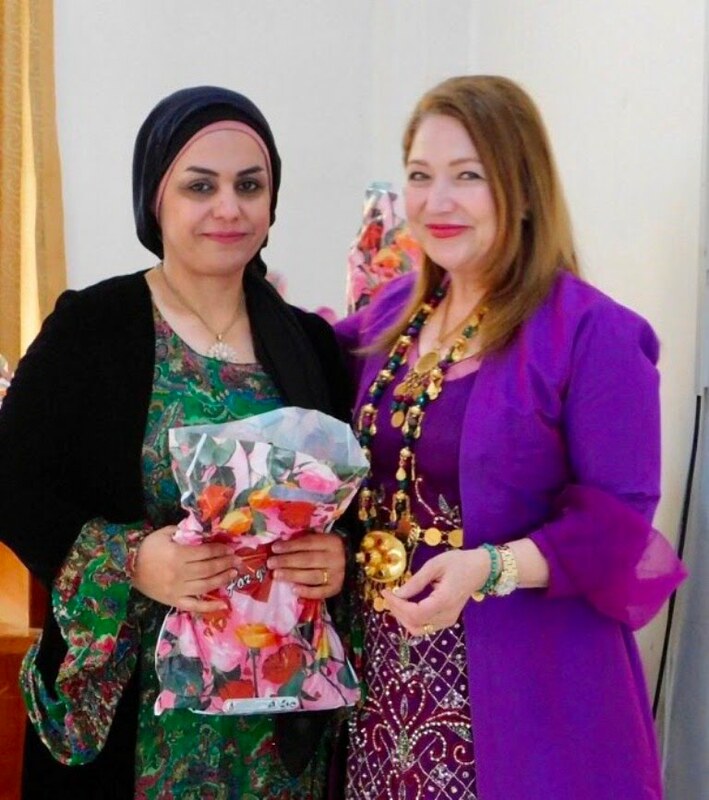 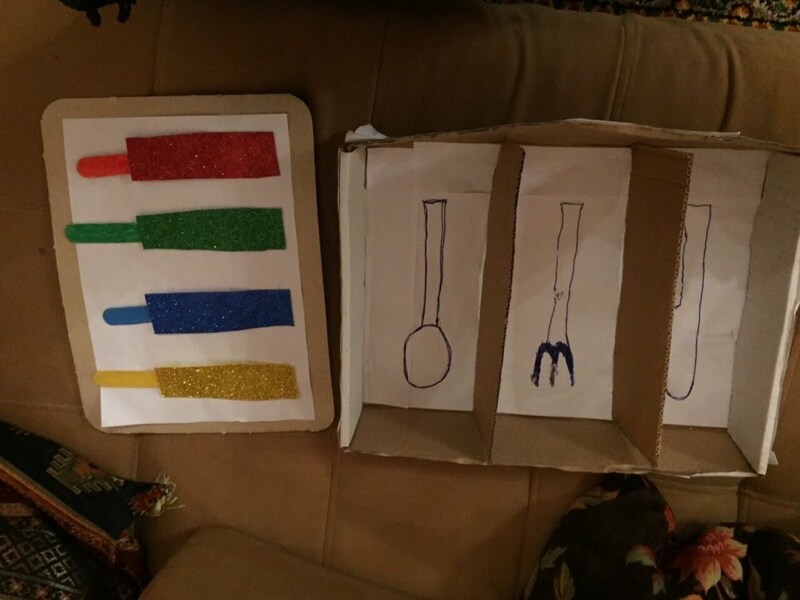 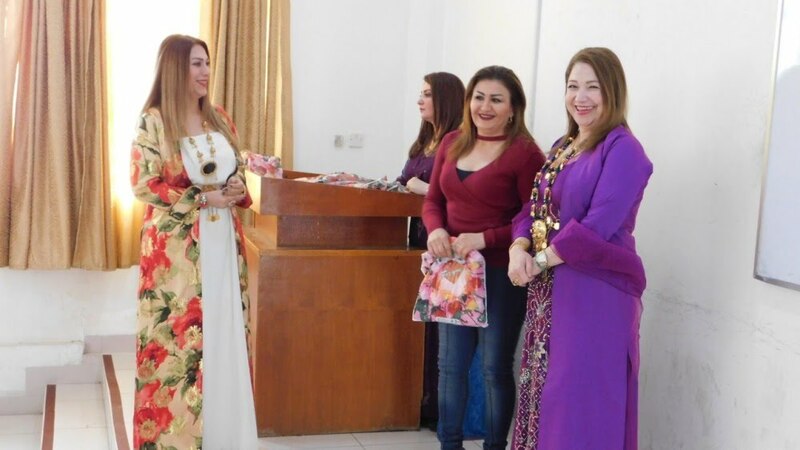 In the symposium also, several developmental toys were created as tools to assist the autistic children's' mental development, by Assist Lecturer Awaee Ghazi Abdul-kareem, College of Nursing, department of Pediatric Nursing. 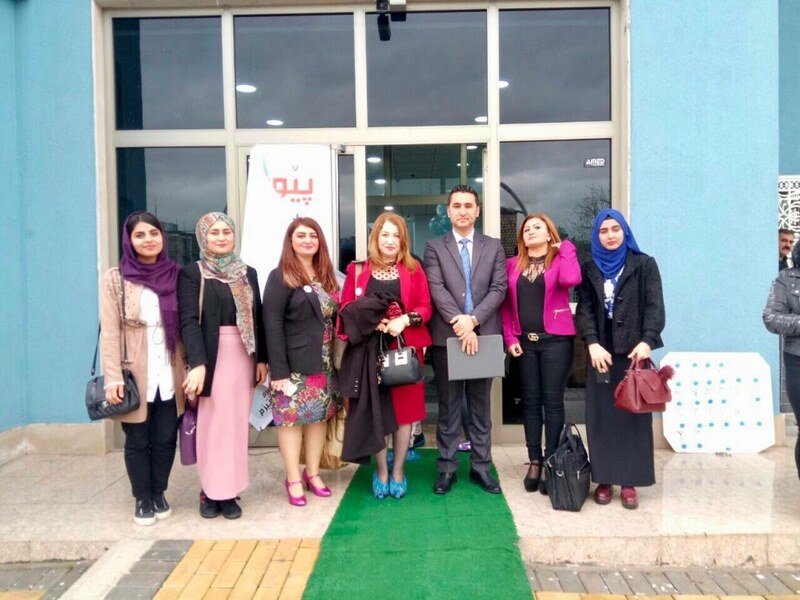 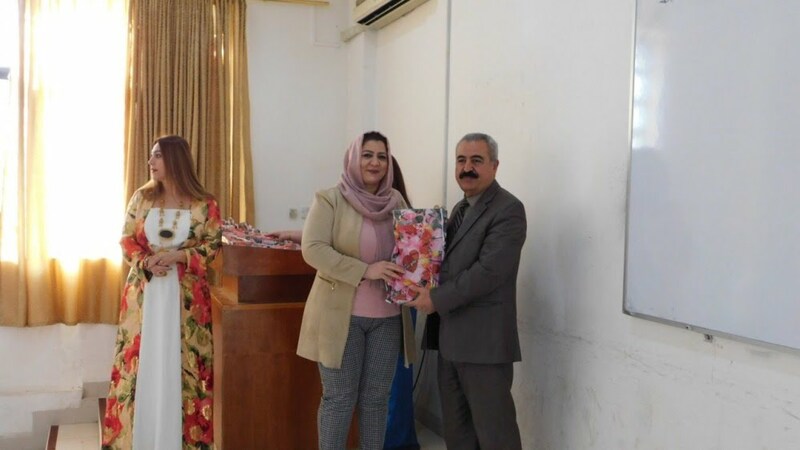 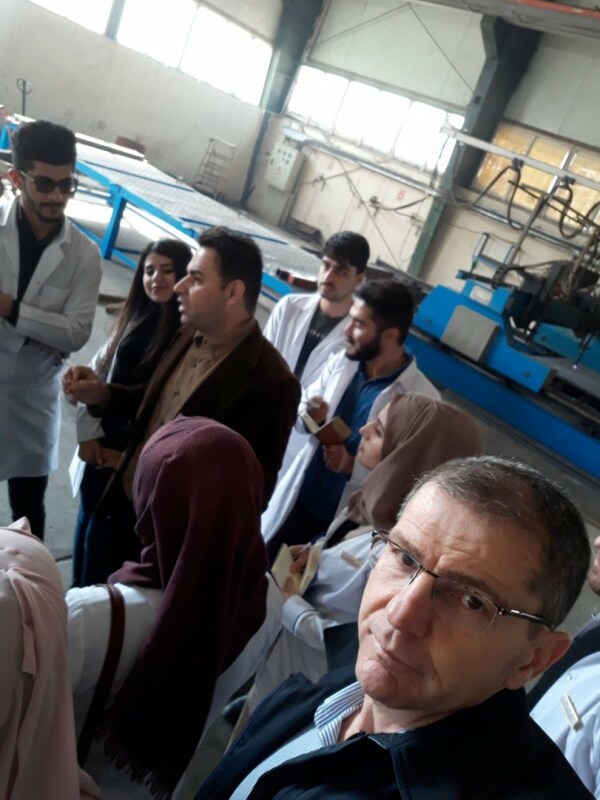 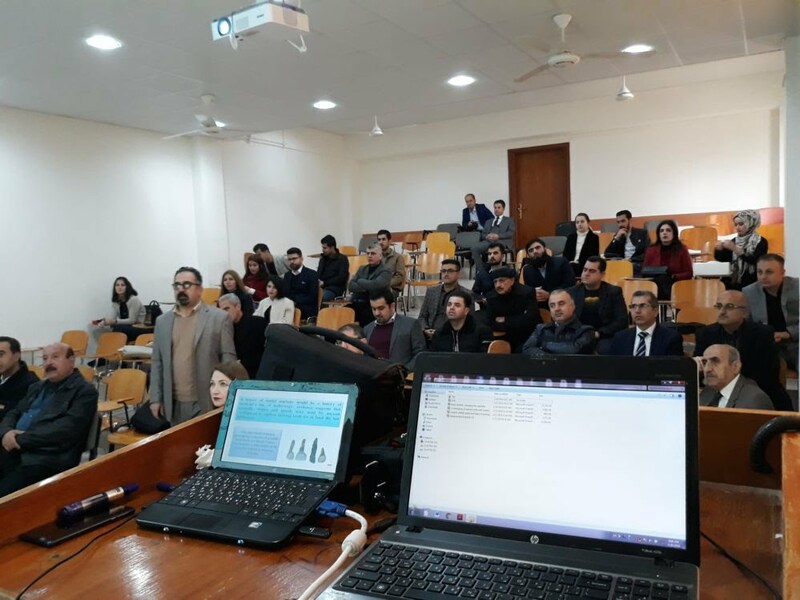 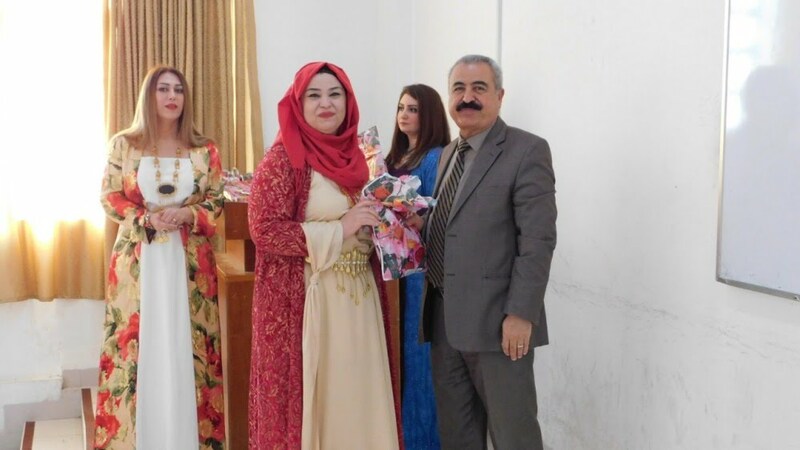 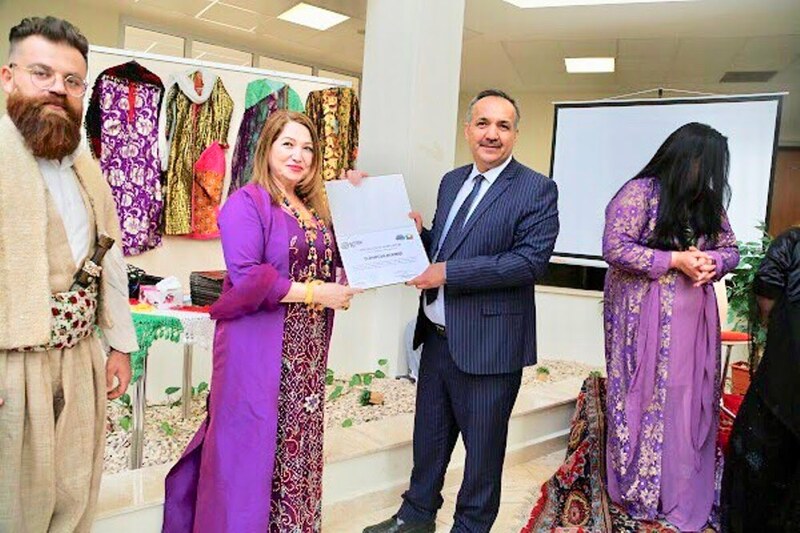 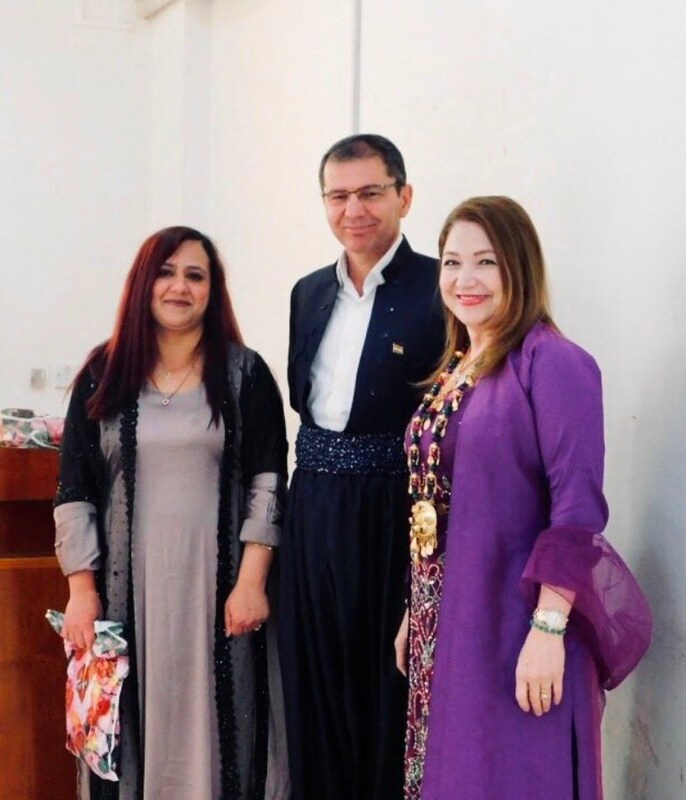 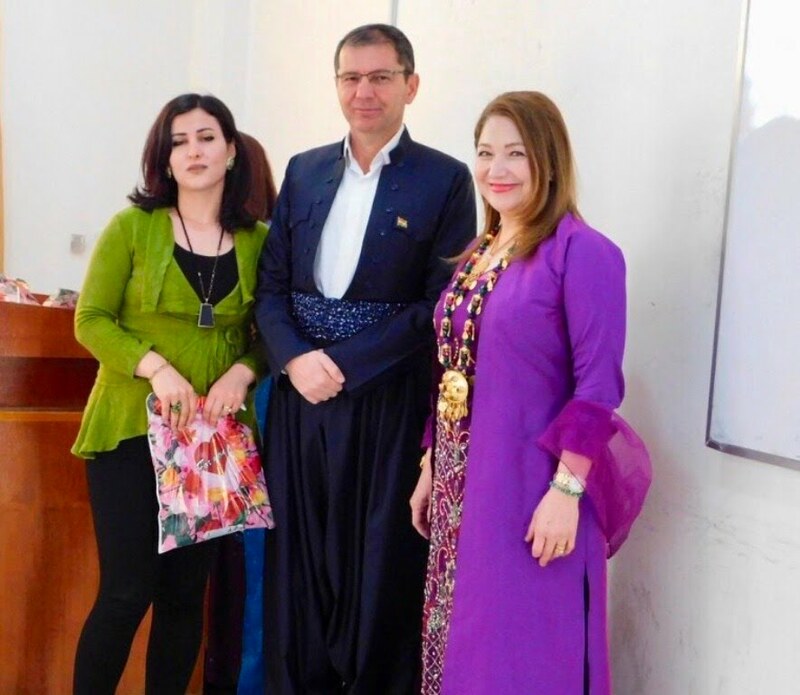 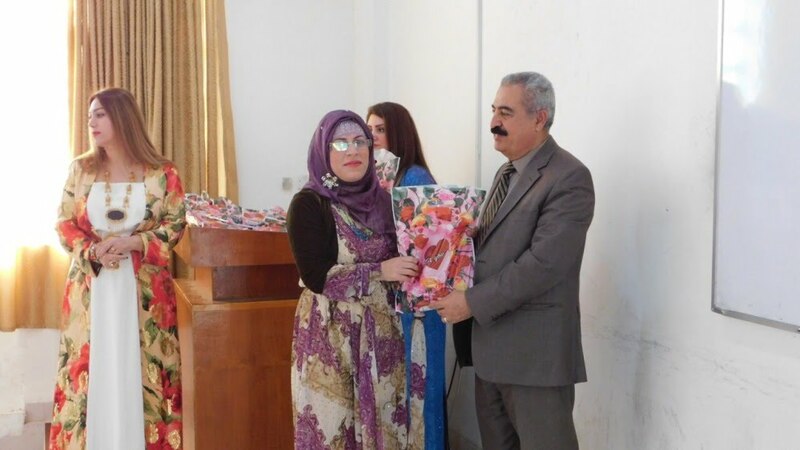 Dr Haitham Issa Albanna, Assisit Professor, from Erbil University for Medical sciences - College of medicine visited College of Nursing, Assist professor, Dr. Haitham Al-banna paied a visit to University of Sulaimani, college of Nursing. 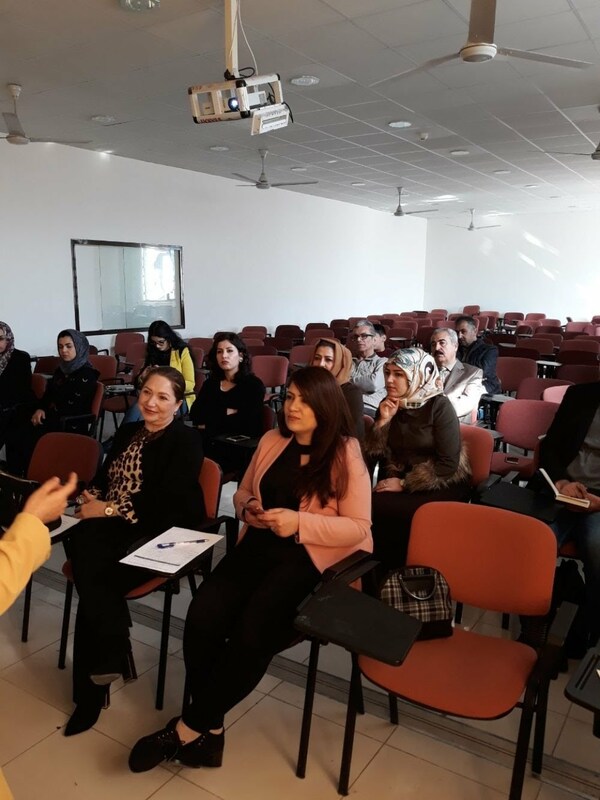 Dr. Haitham Al-banna is teaching postgraduates (Ph.D) students at College of Nursing - University of sulaimani. 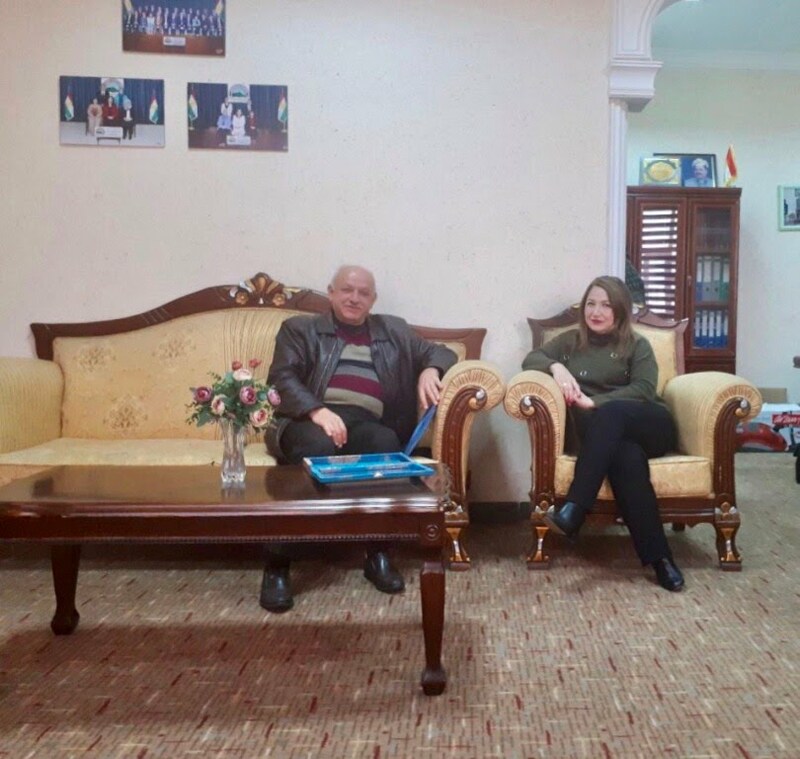 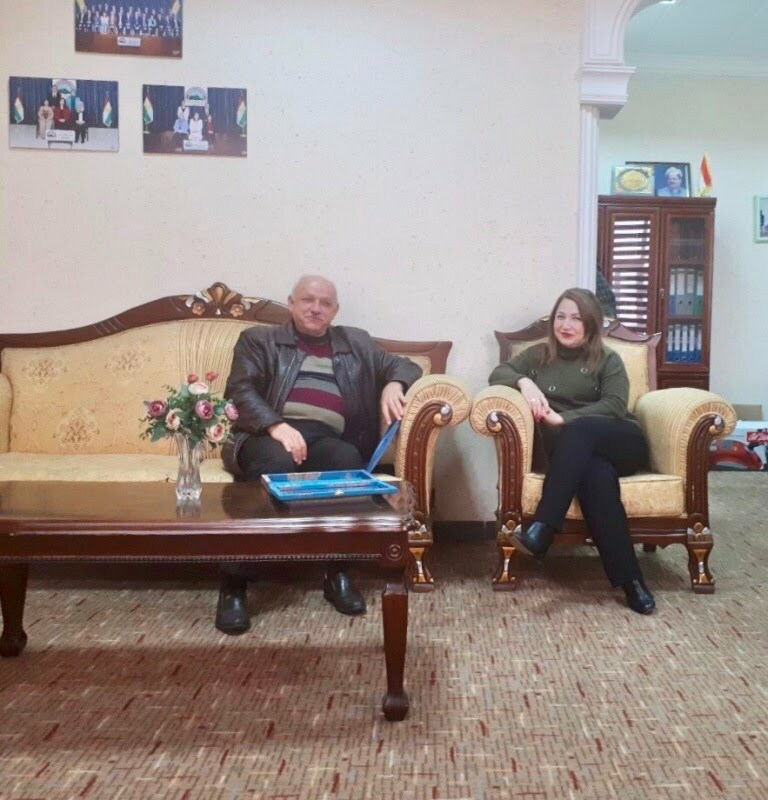 He met the dean of the college, Dr. Zhyan Salah Ramzi, discussing the postgraduate subjects. 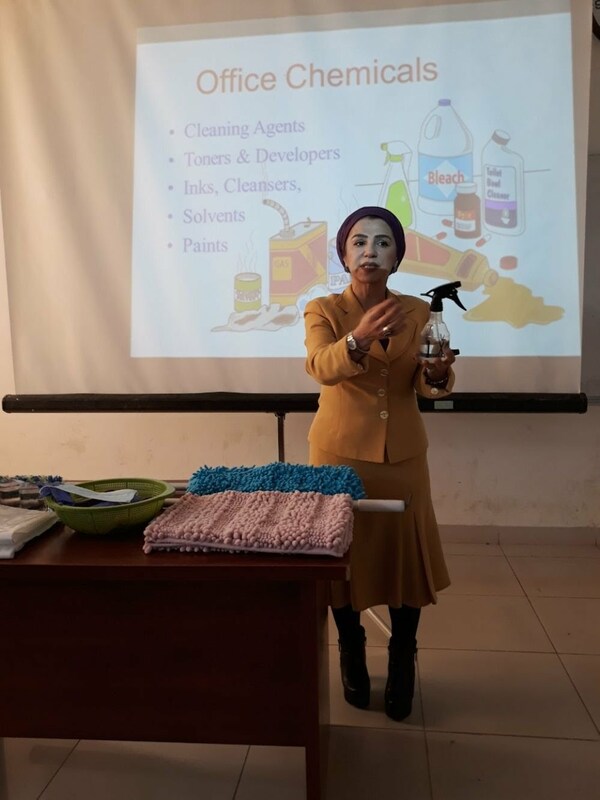 A Seminar Was Presented in College of Nursing, the seminar was about health and safety issues among the general population. 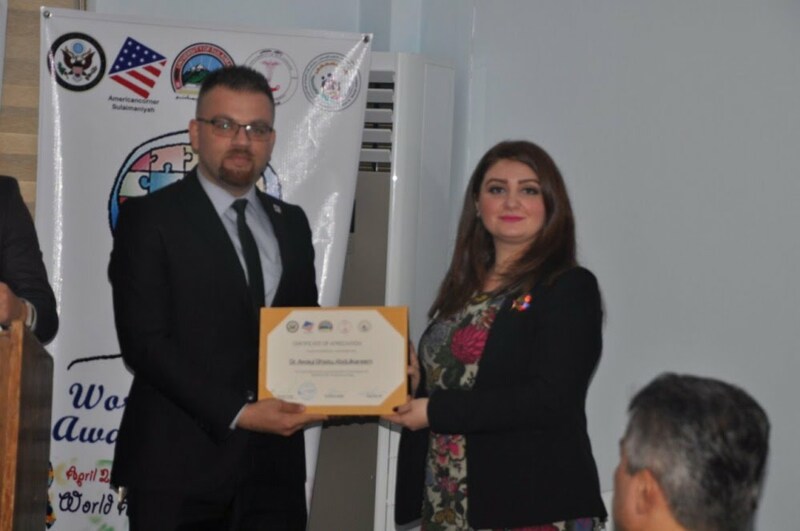 It was presented by Cheesman Salih Kakabra, Lecturer in Community Health Department, College of Nursing. 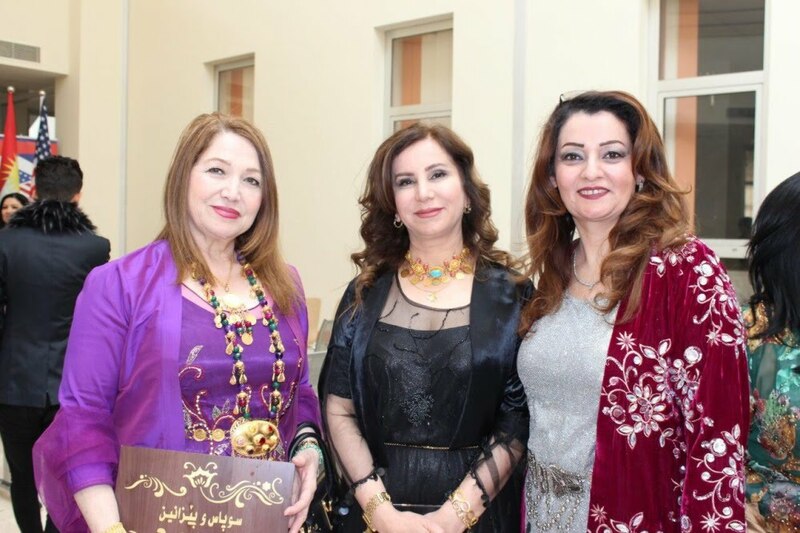 بە سەرپەرشتی بەرێز پ.ی د.ژیان سەلاح رەمزی، کۆلیجی پەرستاریی خەڵاتی فەرمانبەرانی کرد لەرۆژی جیهانی ژنان و ڕۆژی پۆشینی جلی کوردیدا. 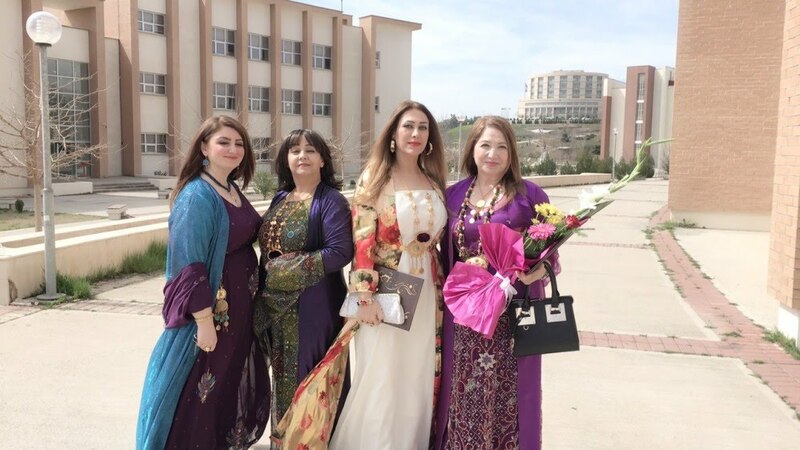 بەئامادەبونی ژمارەیەک لە مامۆستاو فەرمانبەرانی کۆلیج، ڕاگرایەتیی کۆلیجی پەرستاریی خەڵاتی فەرمانبەرانی کۆلیج کرد لەپای ئەرک و ماندوبونیان، ئەمەش هاوکات بو لەگەڵ رۆژی جیهانی ژنان و ڕۆژی پۆشینی جلی کوردی. 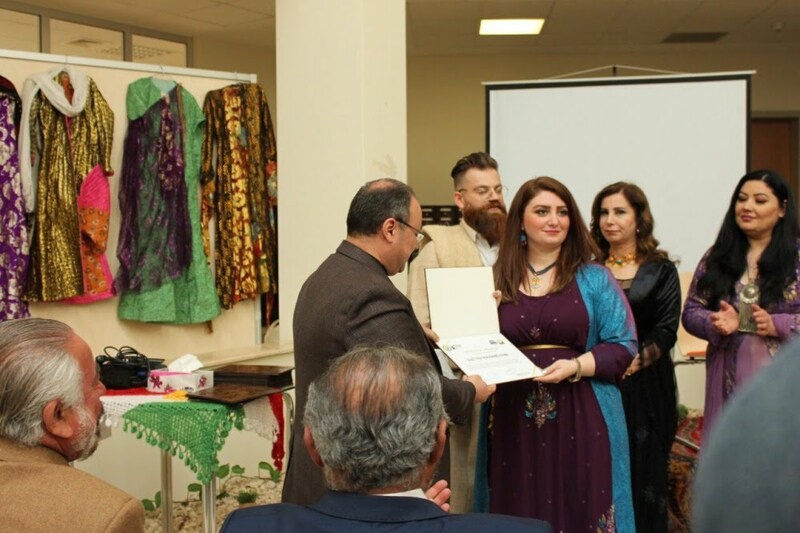 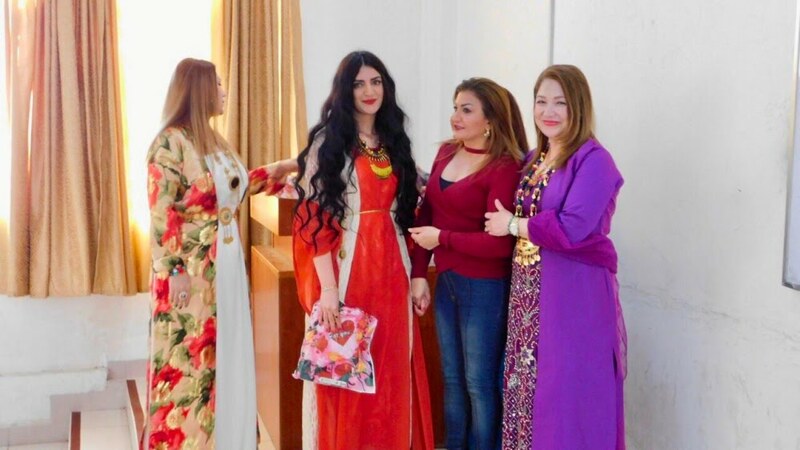 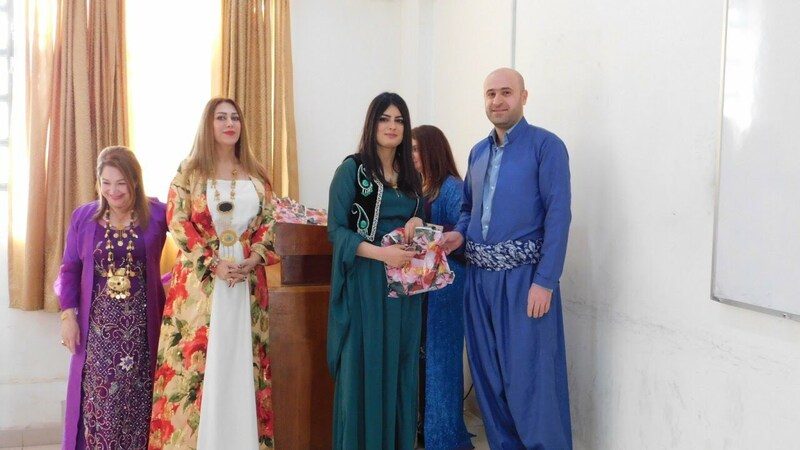 بە سەرپەرشتی سەرۆکی زانکۆی سلێمانی ژنانی ڕاگرو سەرۆک بەشەکانی زانکۆ خەڵاتی ڕێزلێنانیان پێبەخشرا، بەبۆنەی ڕۆژی جیهانی زنان و ڕۆژی پۆشینی جلی کوردیەوە. 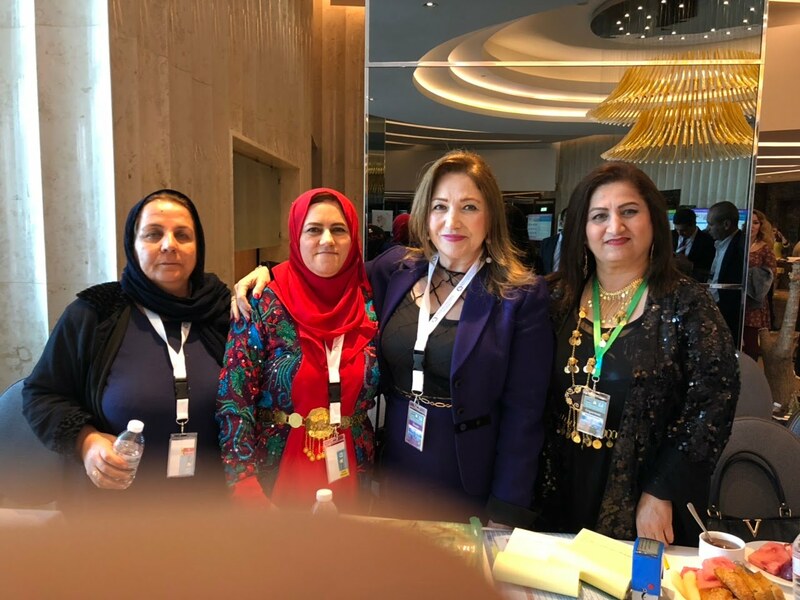 لە میانی مەراسعمەکەدا، پ.ی د.ژیان سەلا‌‌‌‌‌‌ح ڕەمزی ڕاگری کۆلیجی پەرستاری وژنانی سەرۆک بەش لە کۆلیجی پەرستاریی خەڵاتی ڕێزلێنانی پێبەخشرا. 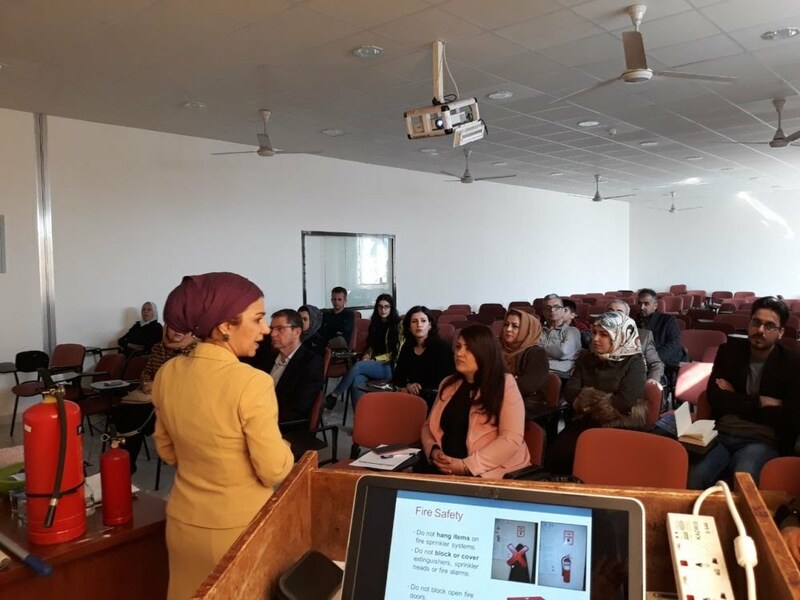 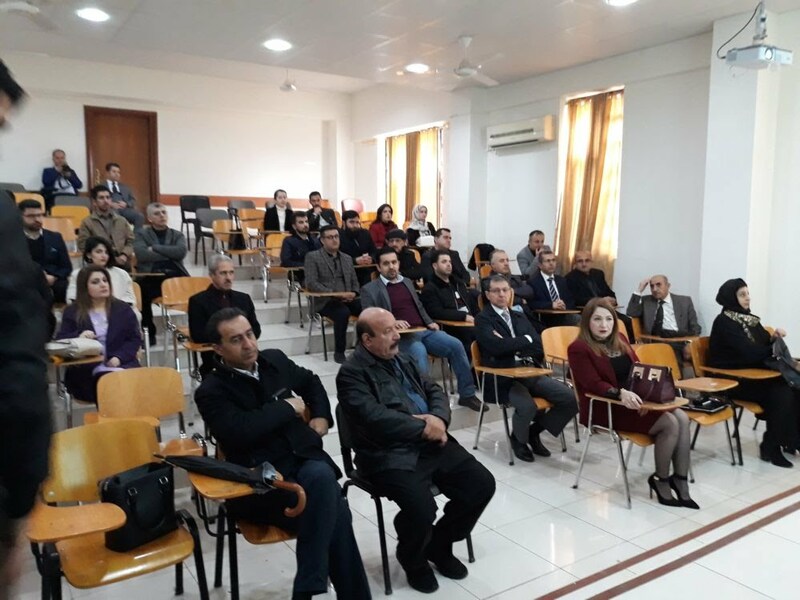 Thursday 28/02/2019, College of Nursing hosted a symposium entitled ( Dental Implantology - A Review and Case Series. 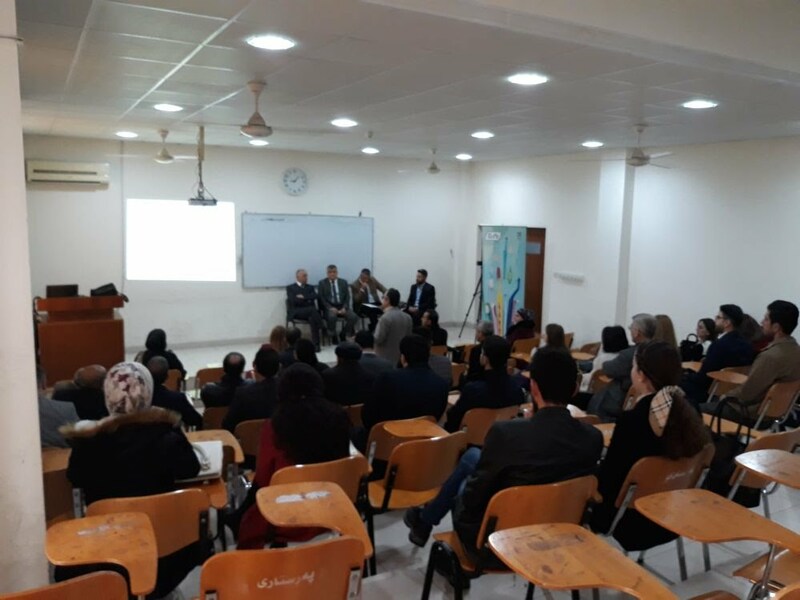 The Symposium was organized by the College of Dentistry. 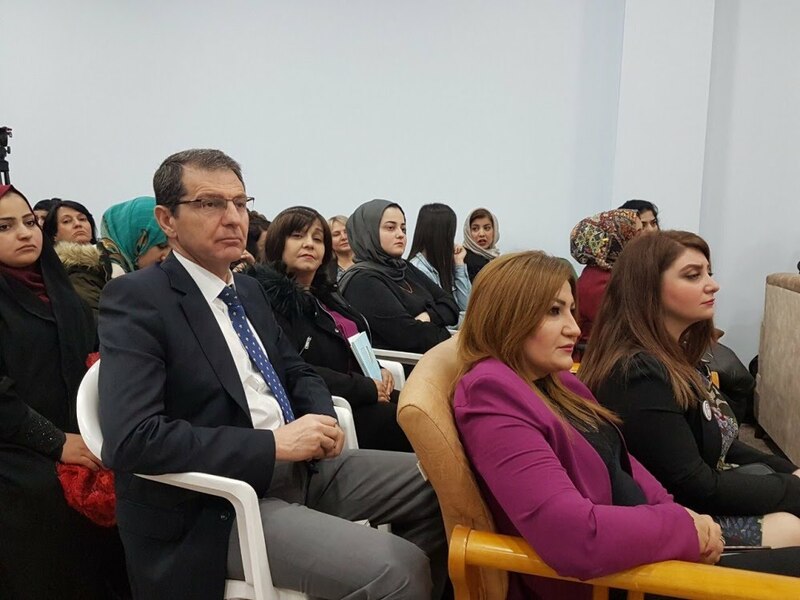 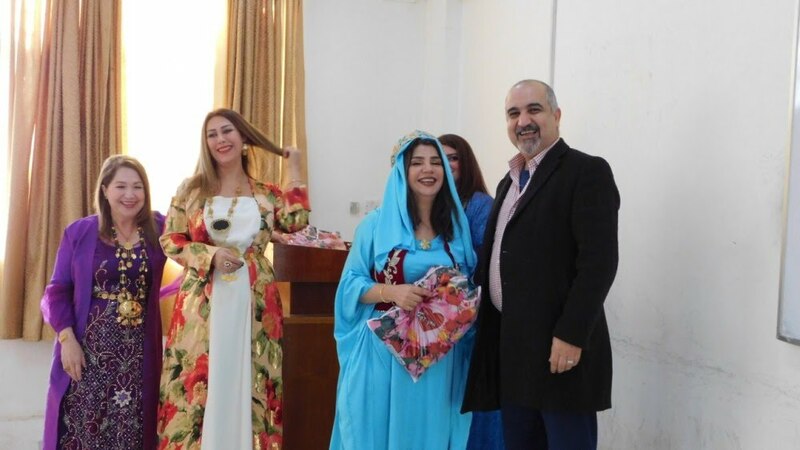 lecturers from the college of nursing and dentistry participated. 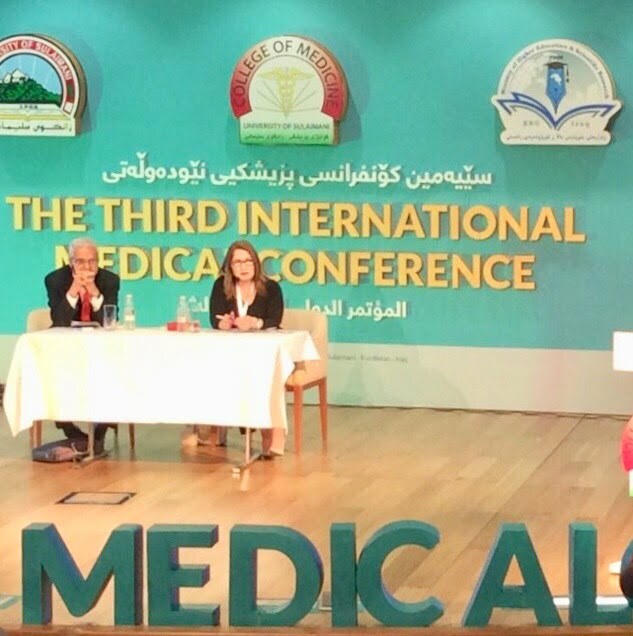 there are many scientific discussions following the speakers of the symposium. 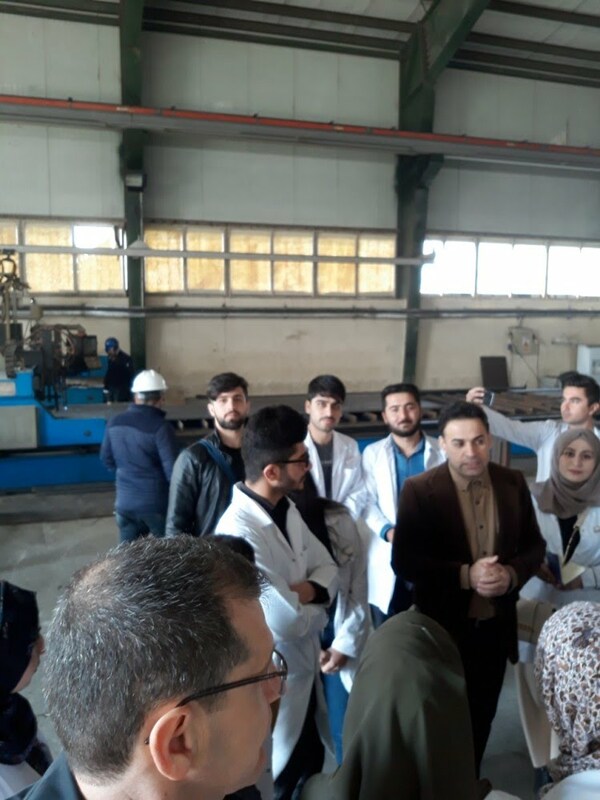 Department of Community Health Nursing paid a clinical visit for AZADI factory. 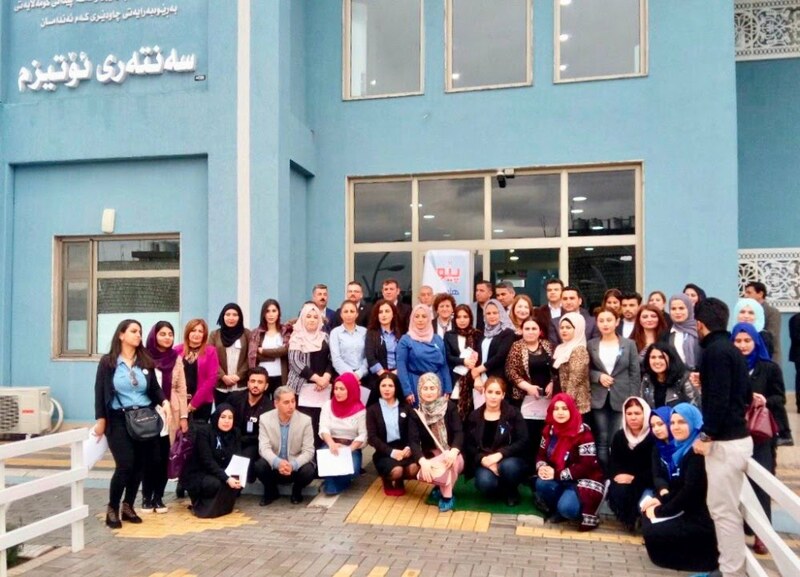 This was among clinical visits to assess health needs in general population. 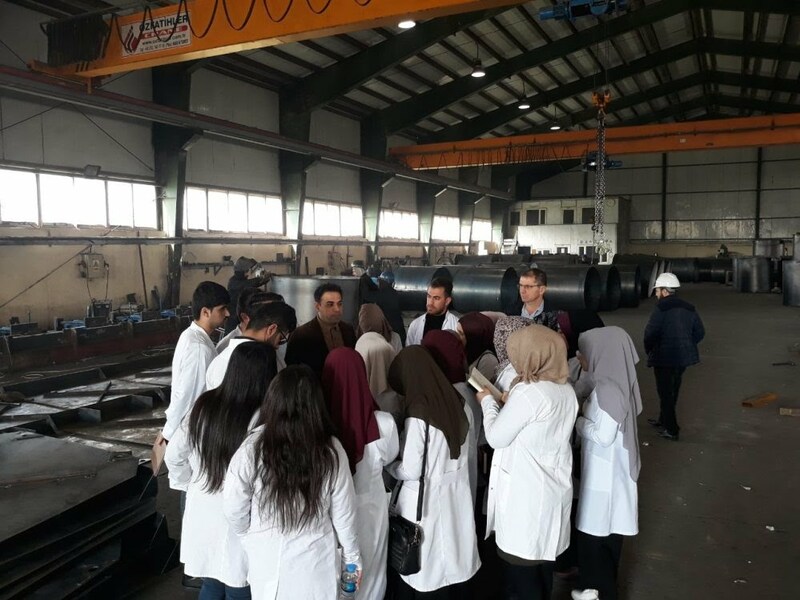 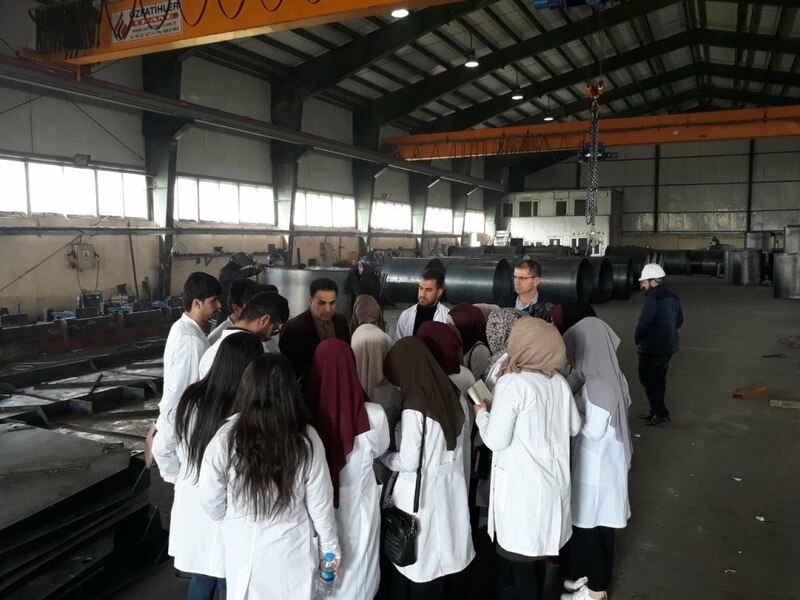 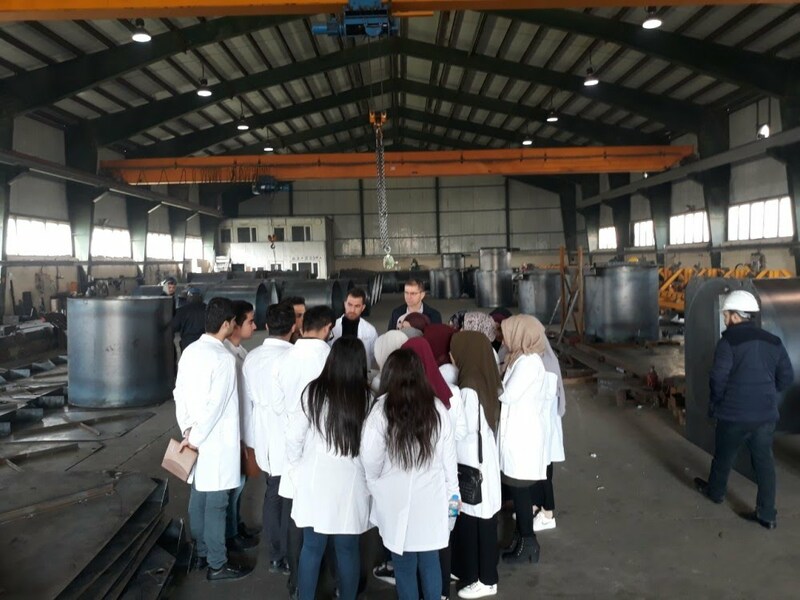 students are informed to assess occupational risks and modifying the hazardous. 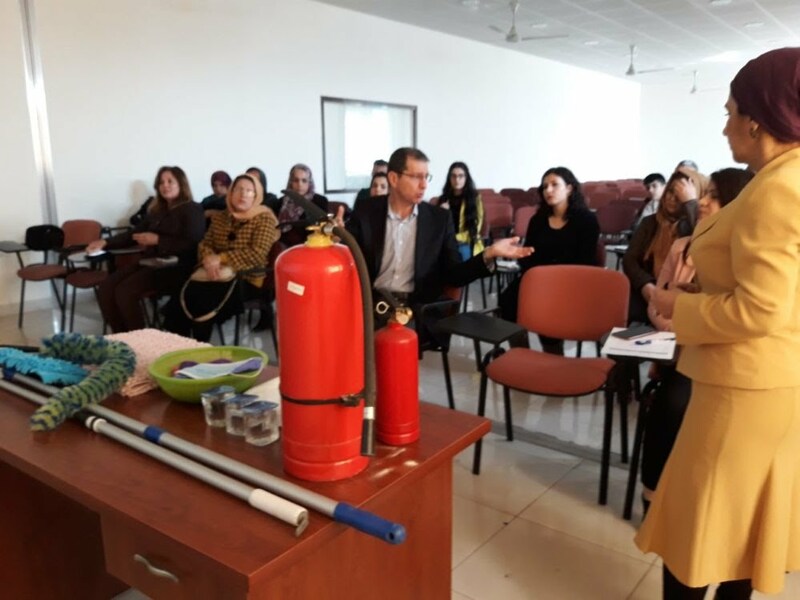 Occupational health and safety for working environment is one of the community health subjects that students are required to learn. 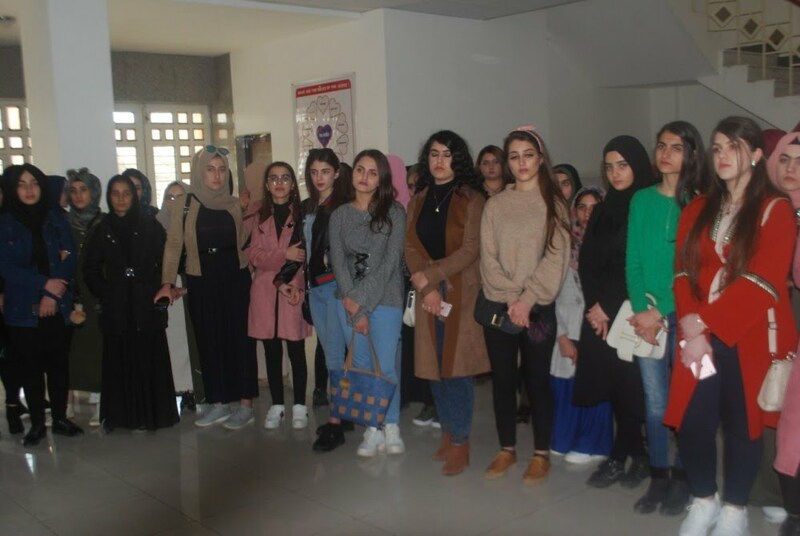 Students and teachers from KOYA secondary school visited the College of Nursing on Thursday 14/07/2019. 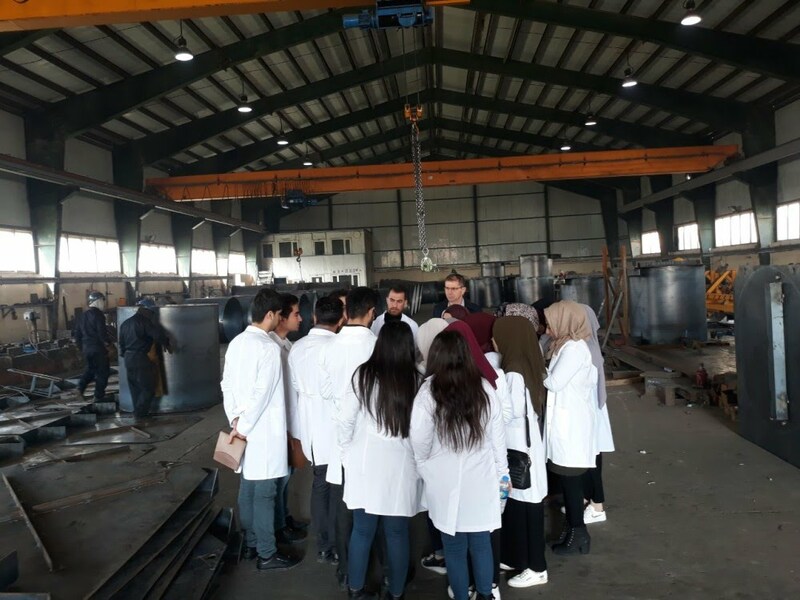 in the visit departments and laboratories are introduced to the secondary school students. 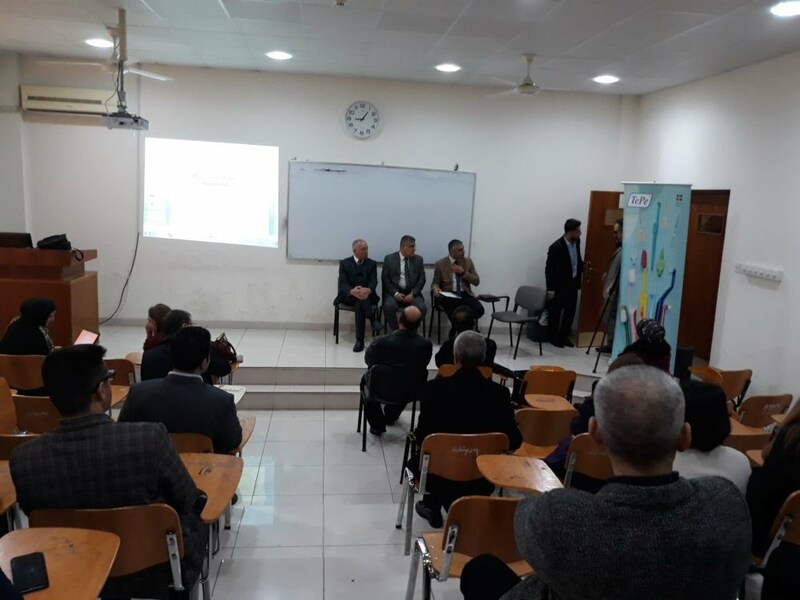 several discussions were held to give them more information about the aims and goals of the college.